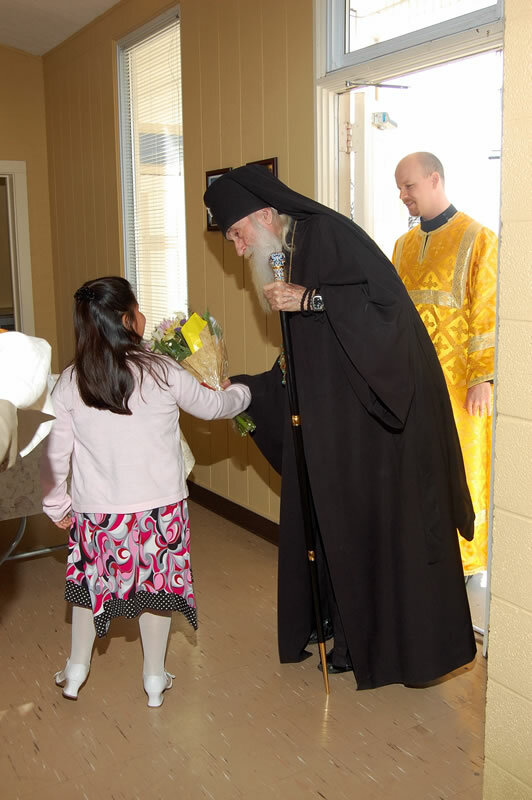 Archbishop Dmitri visited our parish and a joyful occasion it was, standing in the presence of such a wonderful, caring shepherd of the faithful in Christ. 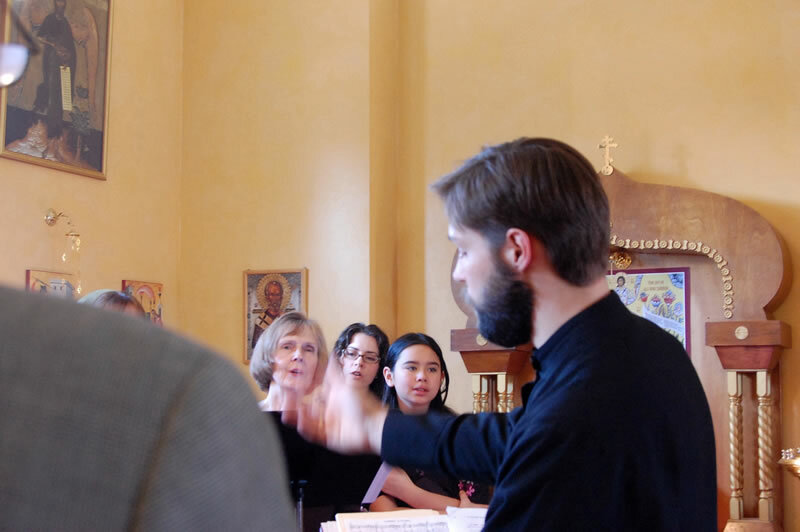 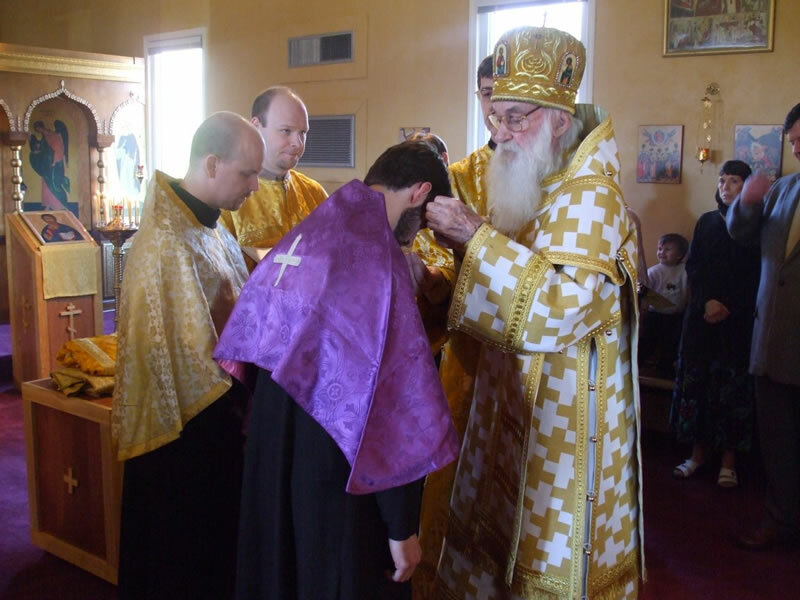 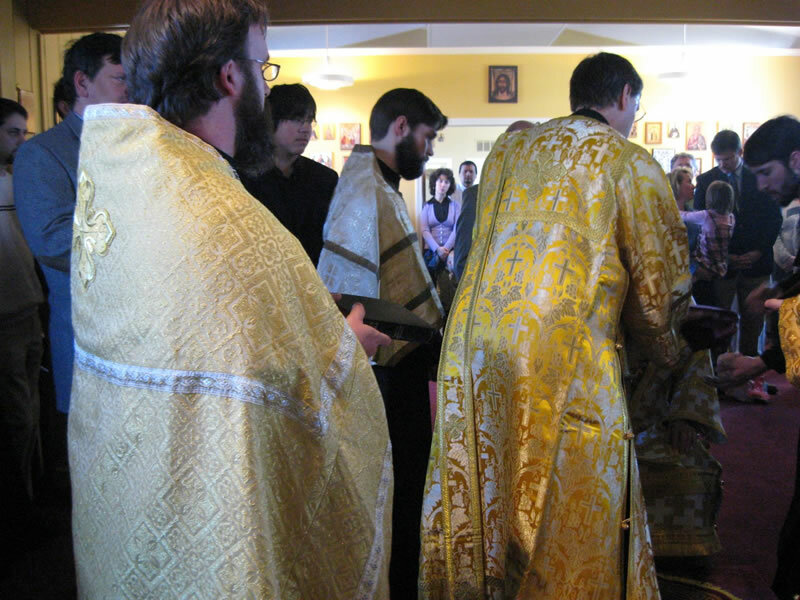 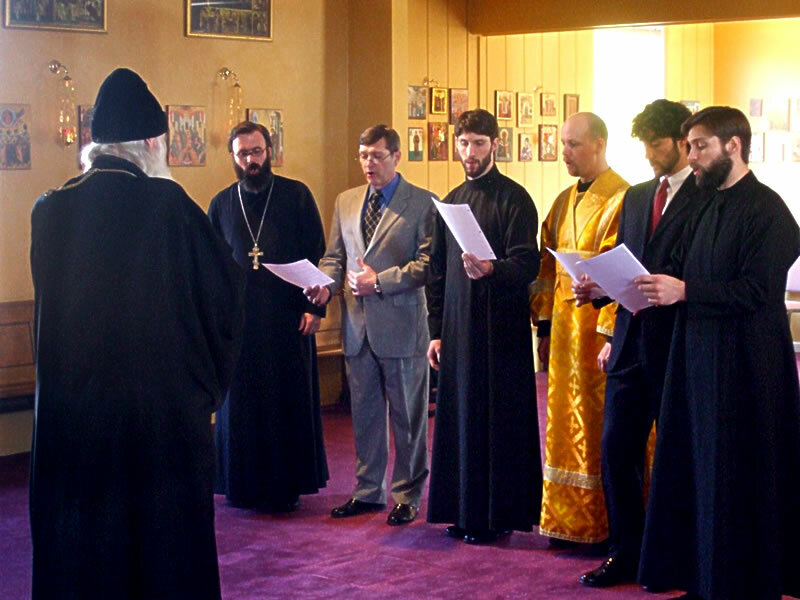 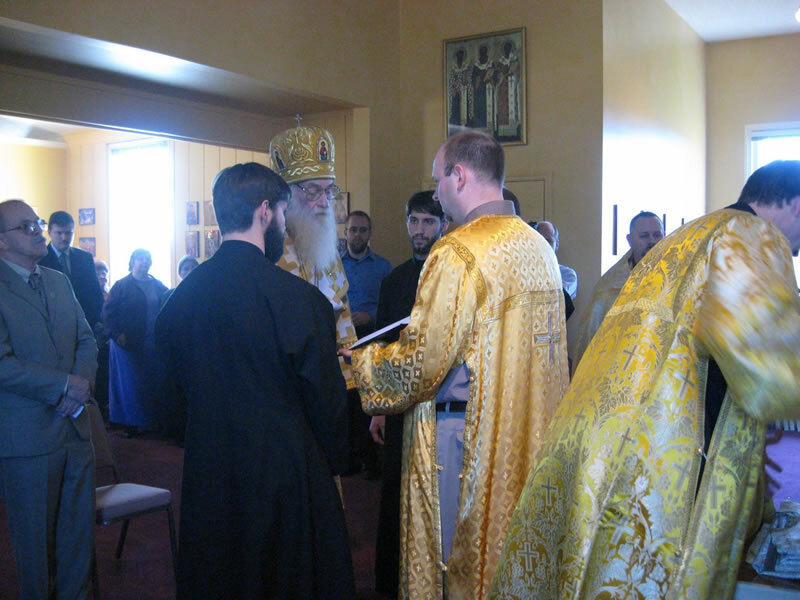 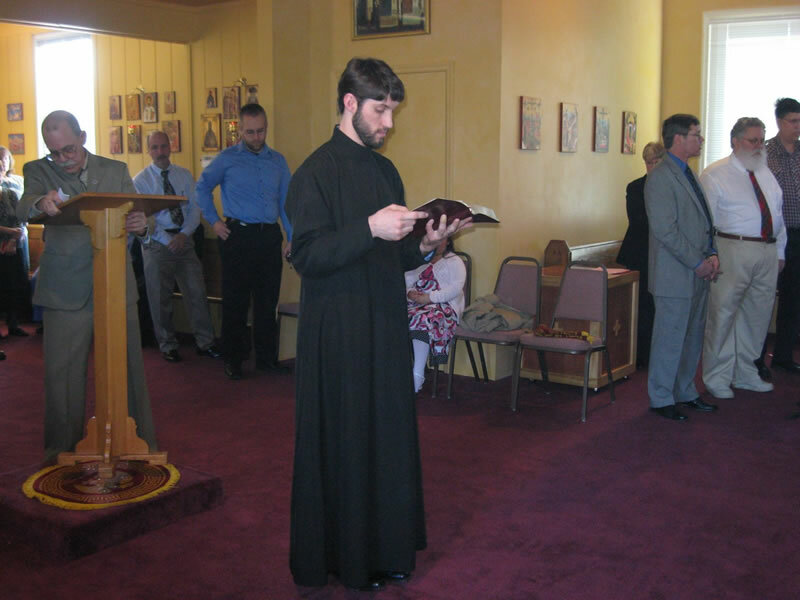 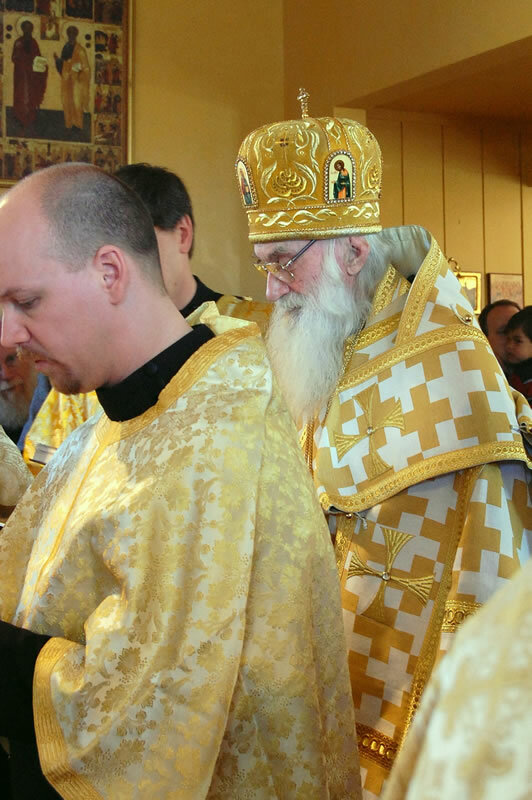 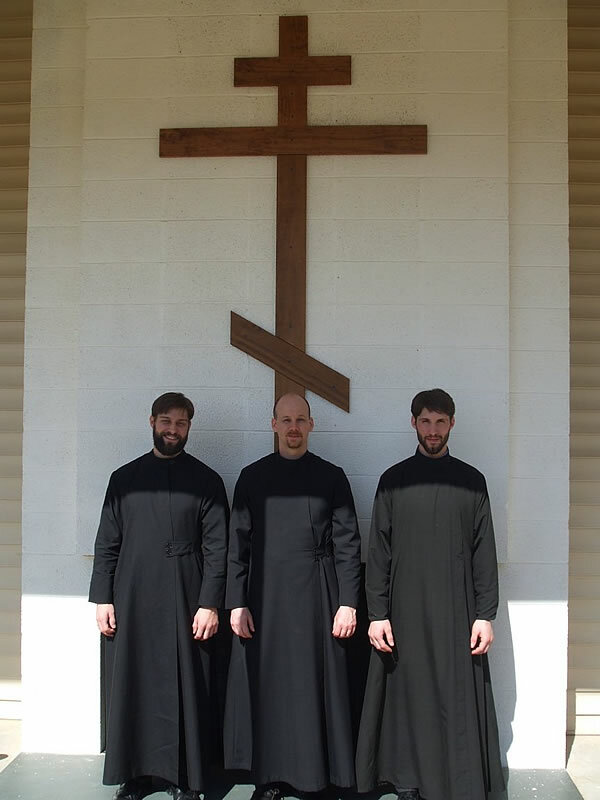 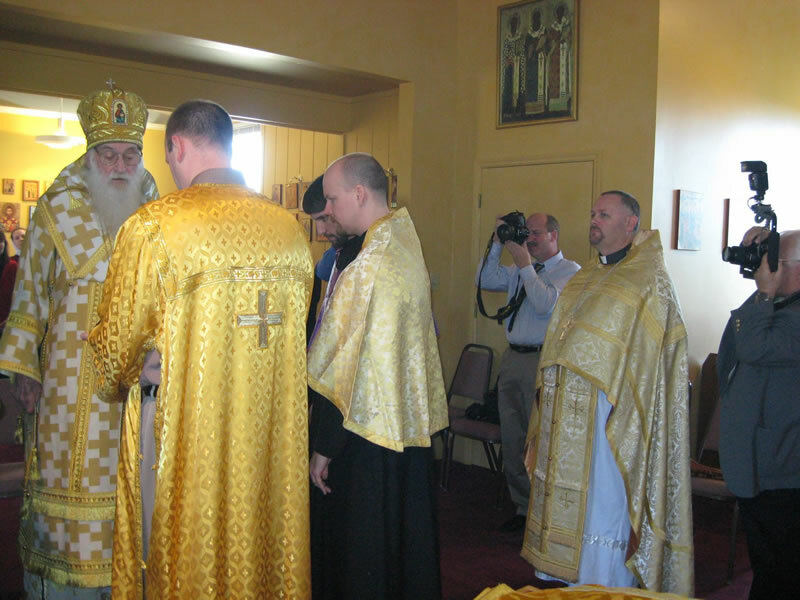 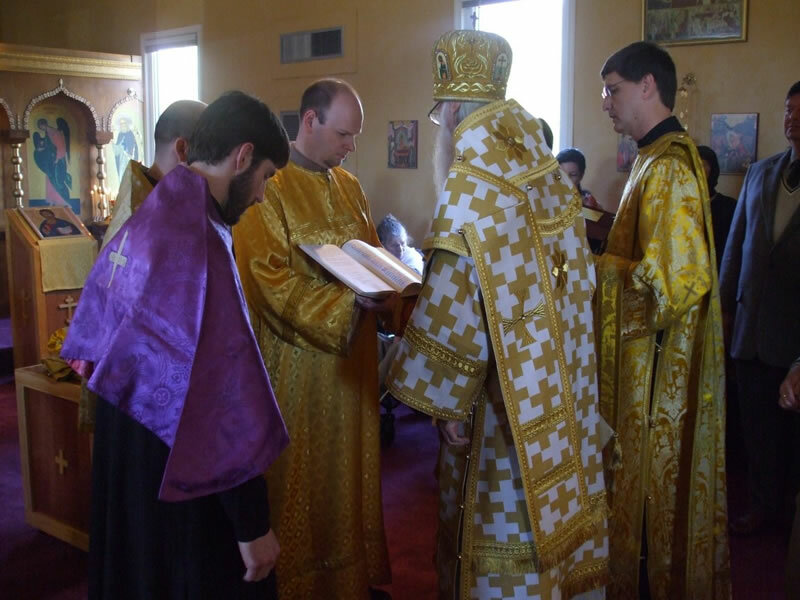 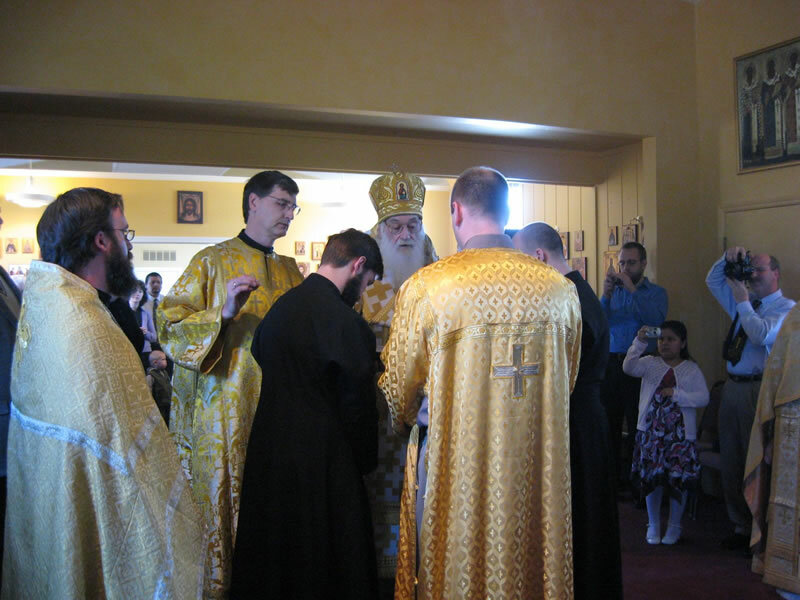 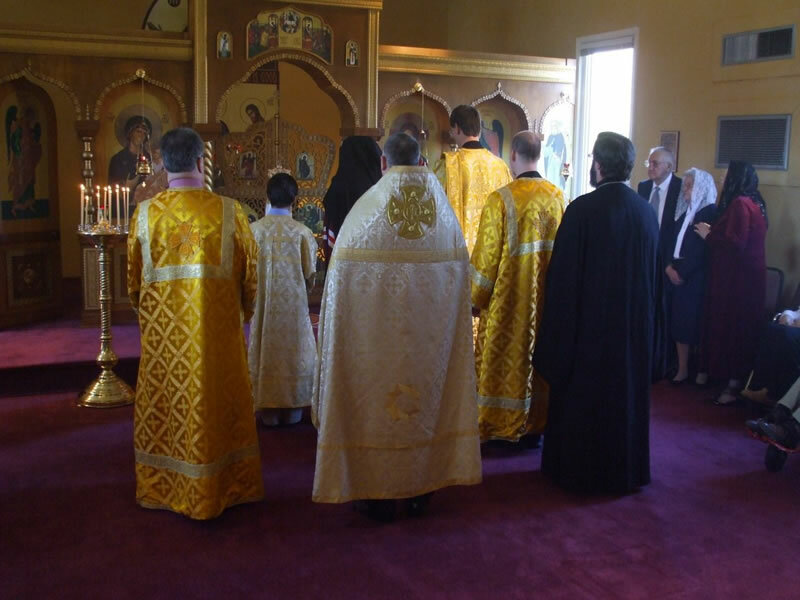 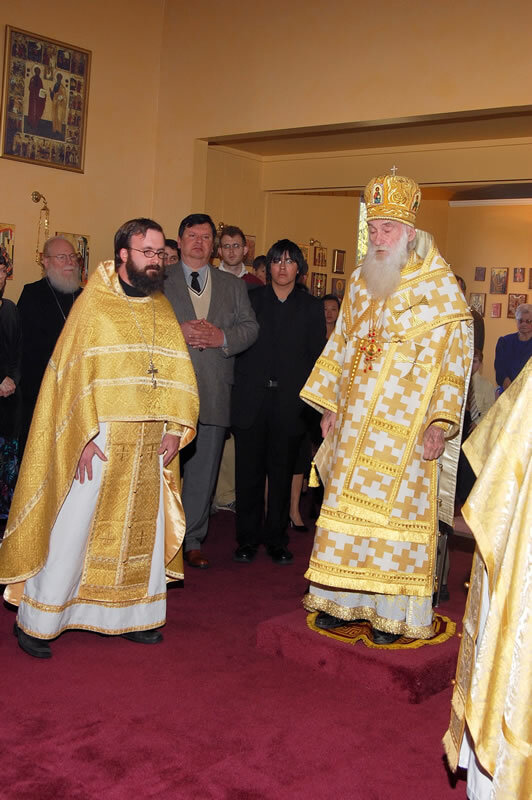 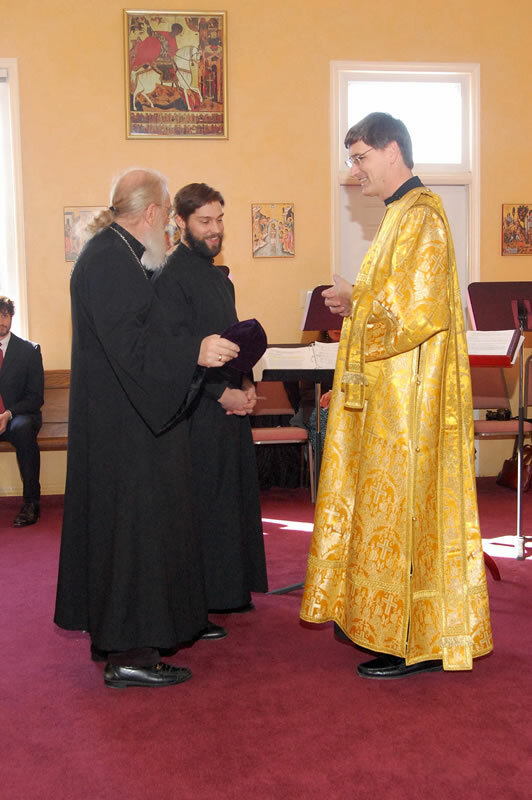 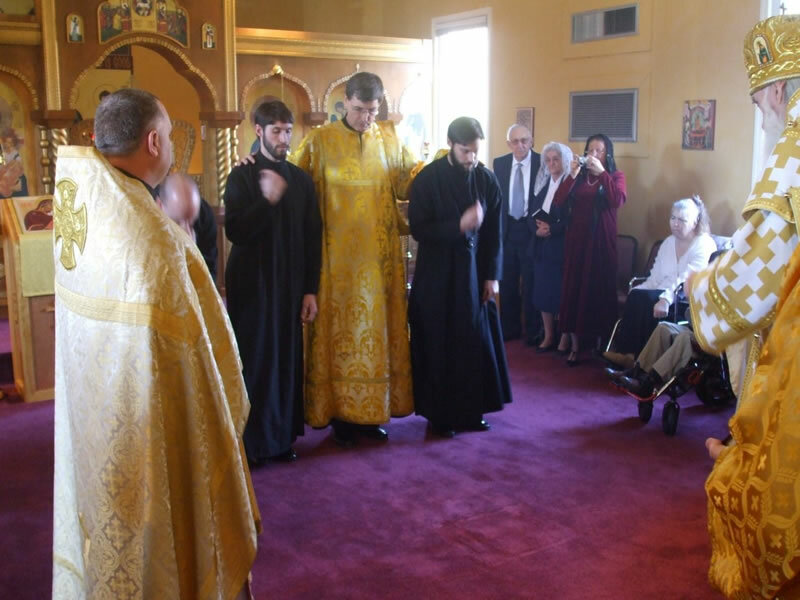 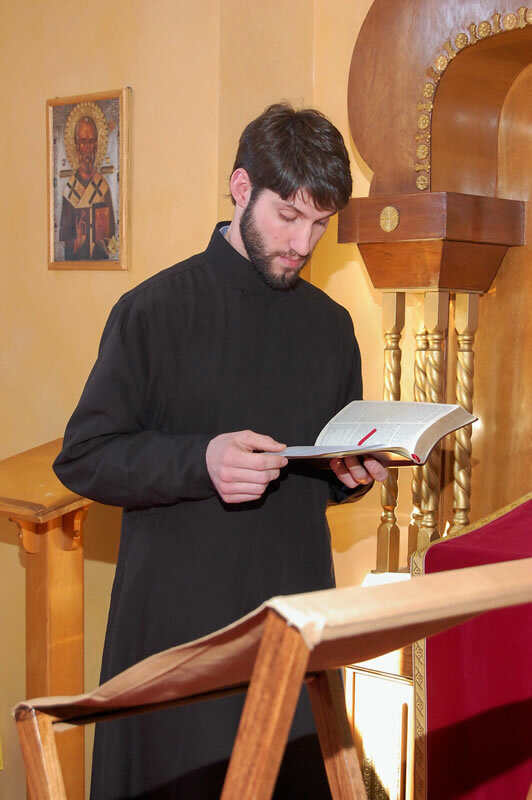 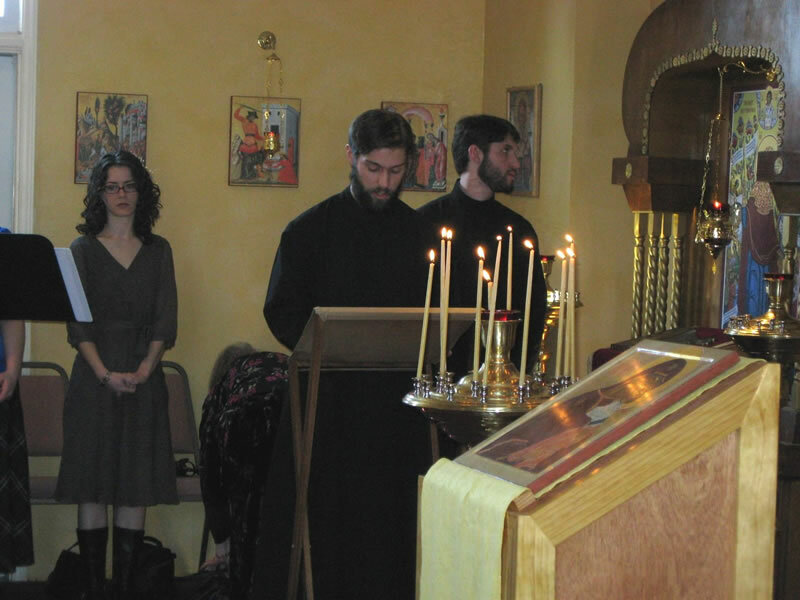 His Eminence tonsured two Readers, our Choir Director Daniel Kowalcheck and his brother Nicholas (attached to St. Nicholas Orthodox Church in Pittsburgh), and ordained to the Subdiaconate our brother John Hays. 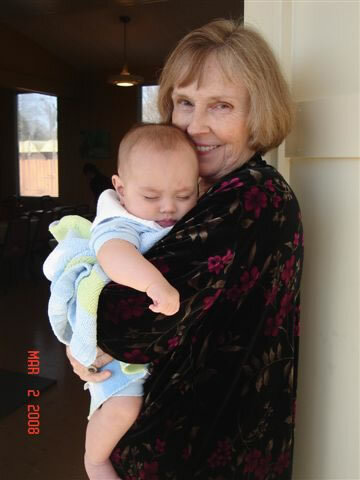 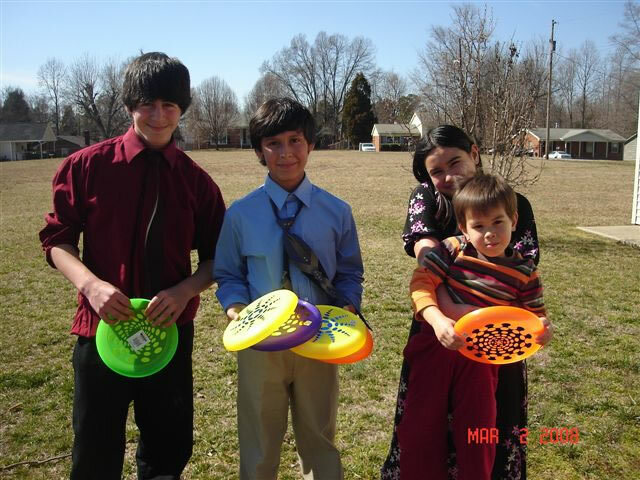 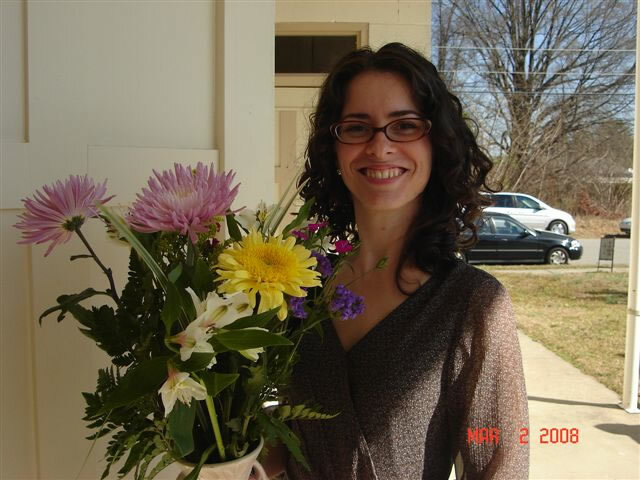 We have many photographs generously submitted by many people to all of whom we are grateful! 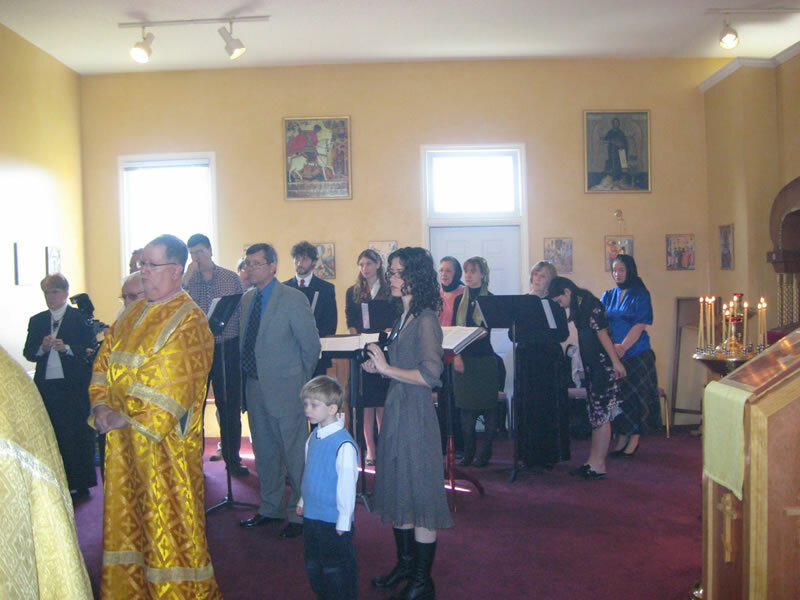 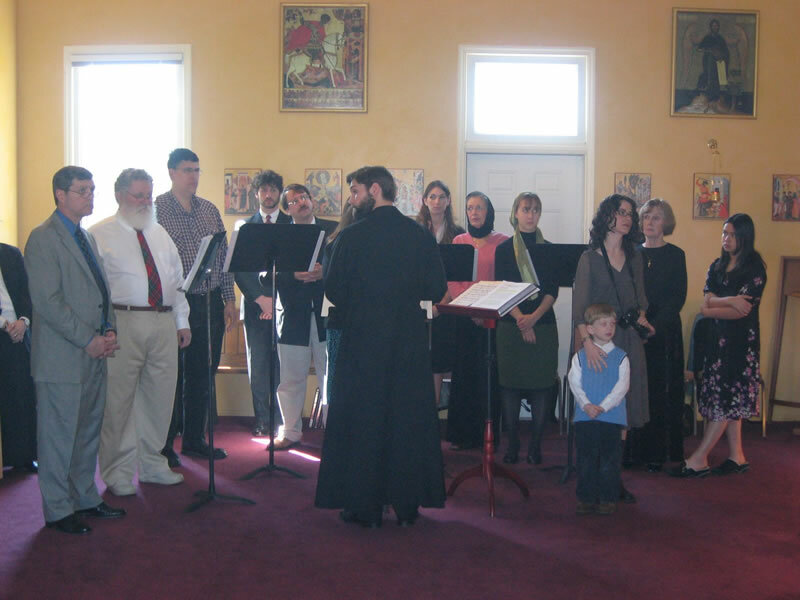 Below are a few photos from Great Vespers on Saturday Evening. 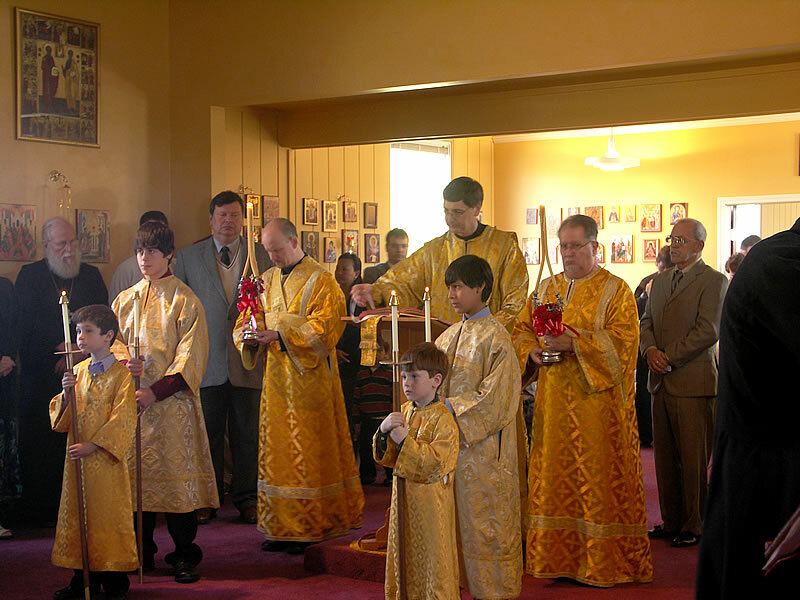 On this page we see photographs of the arrival of His Eminence the Archbishop, his greeting, and the liturgical process of his vesting. Every word and every gesture in the Divine Services has meaning. 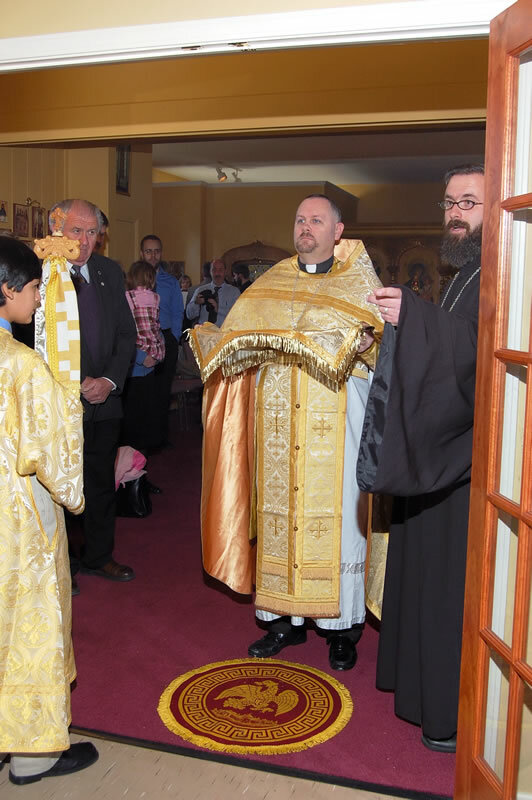 In this vesting we are reminded that the office of Bishop is as the humble shepherd where the people of God vest him in his garments to serve the sheep entrusted him. 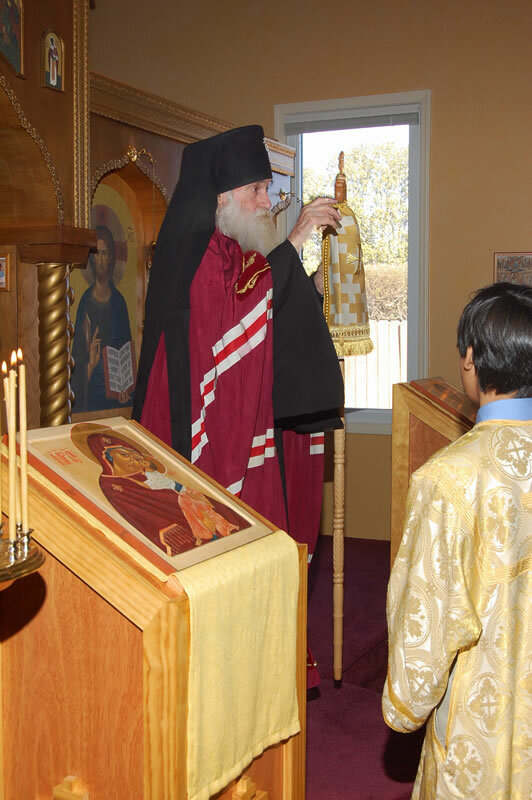 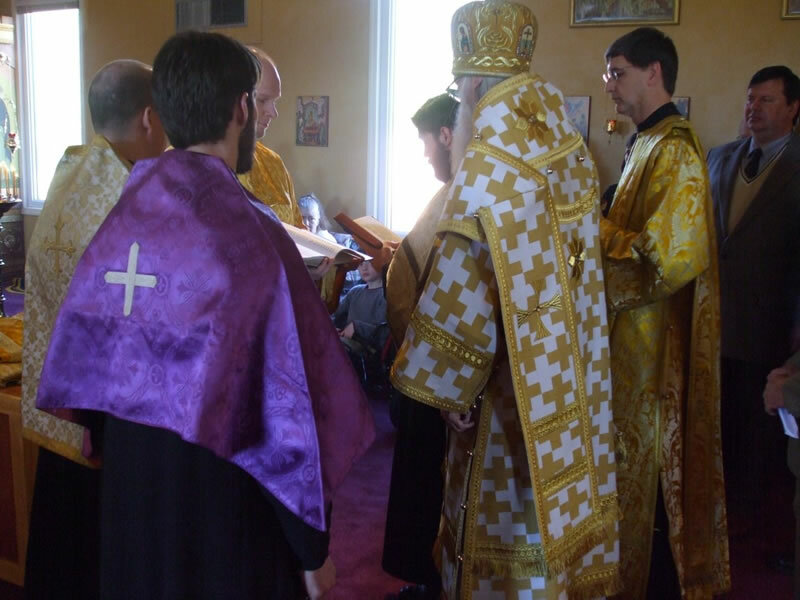 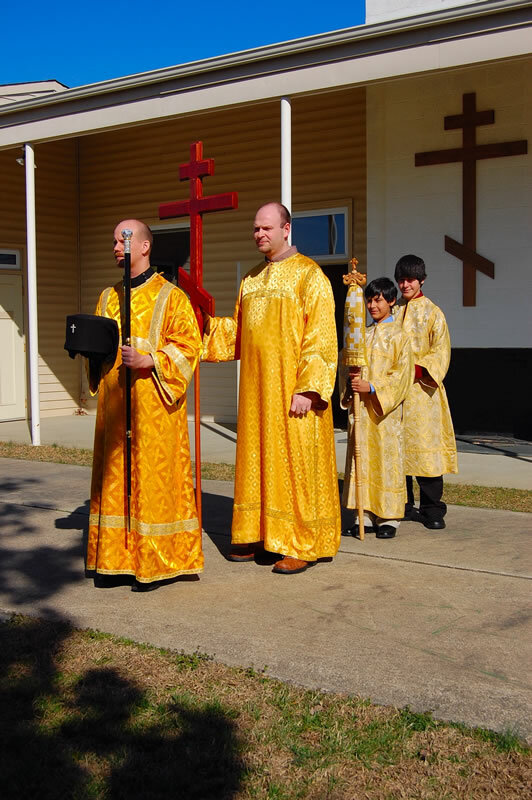 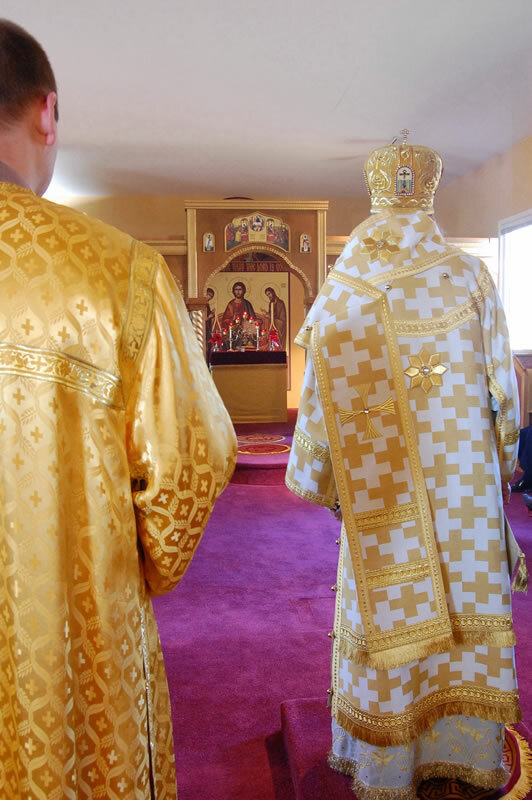 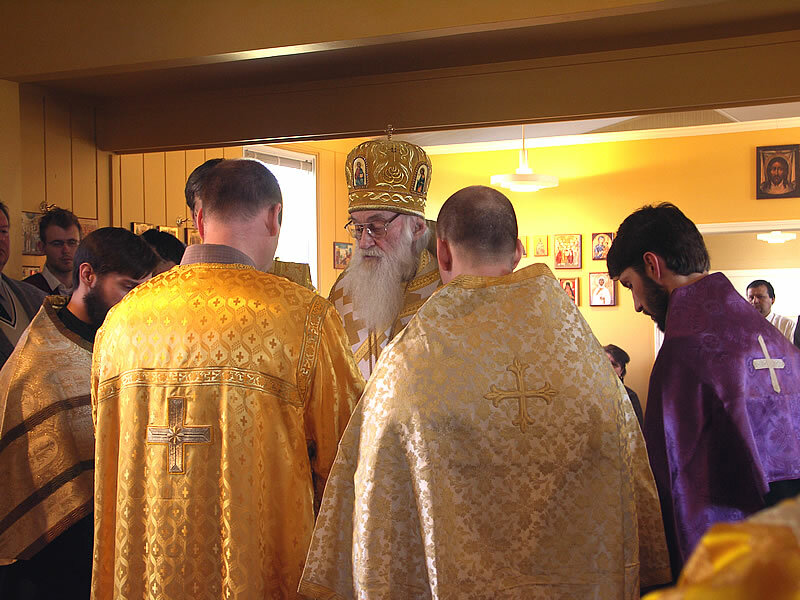 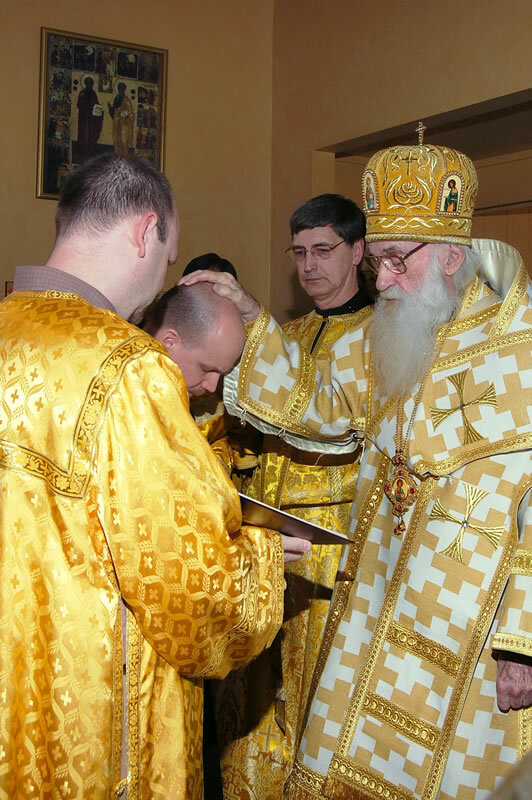 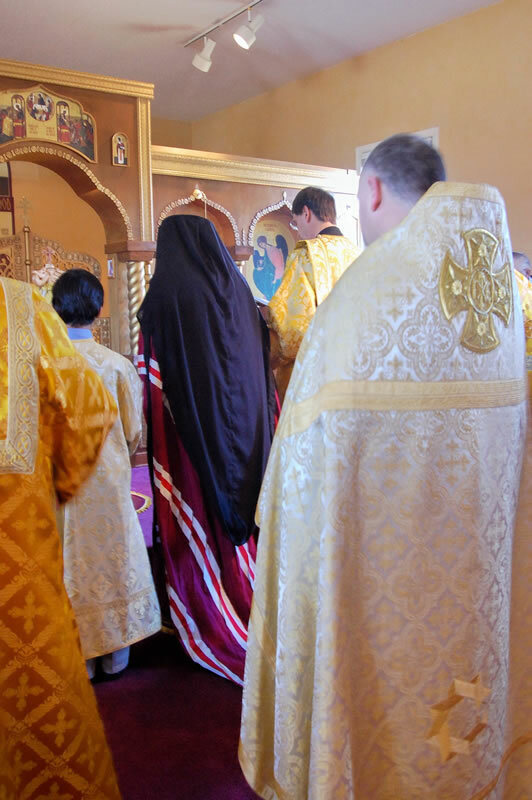 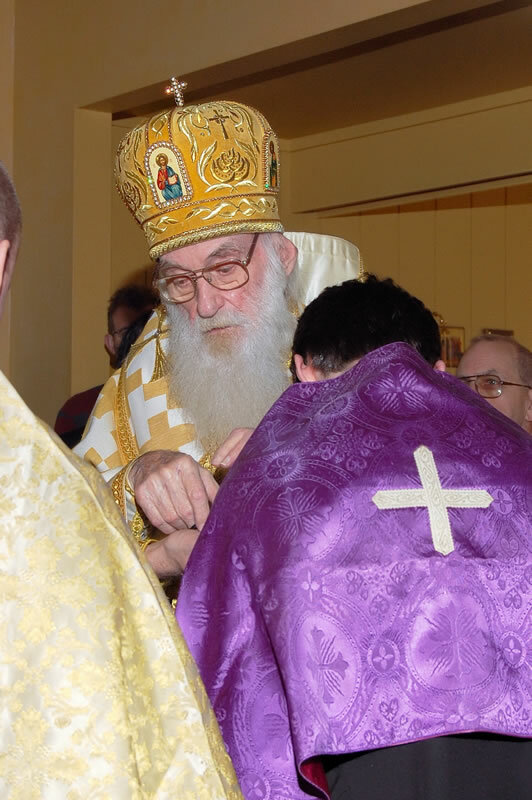 We experience the presence of our Bishop as an "icon" of Christ, and honor Christ through the honor we gratefully show His servant in Apostolic Succession, our beloved Archbishop Dmitri. 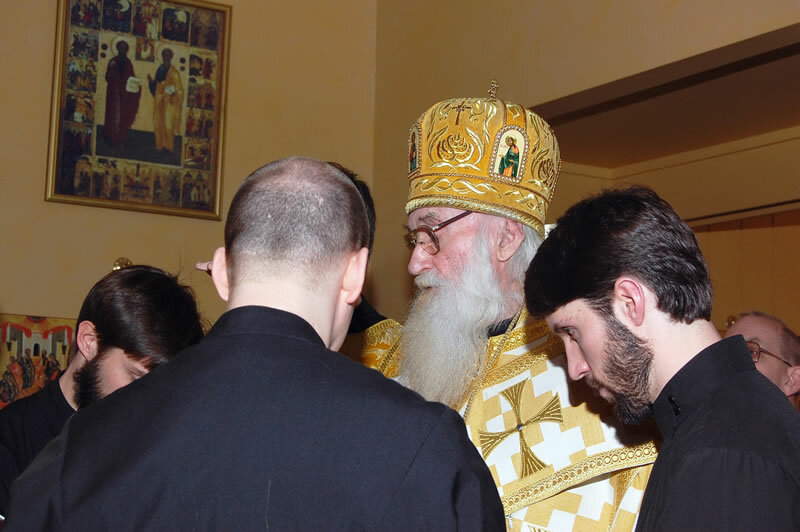 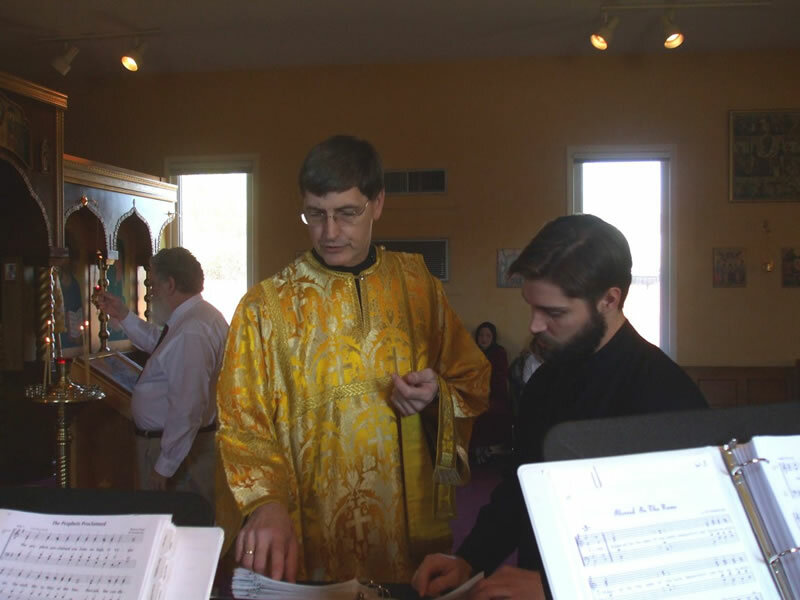 In this section we see photographs of his Eminence, Archbishop Dmitri tonsuring to the Office of Reader our Choir Director Daniel Kowalcheck and his brother, Nicholas. 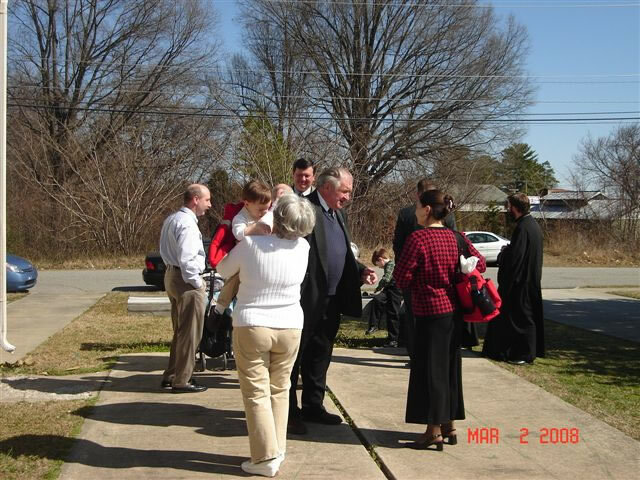 After tonsure, John Hays was then ordained to the Subdiaconate. 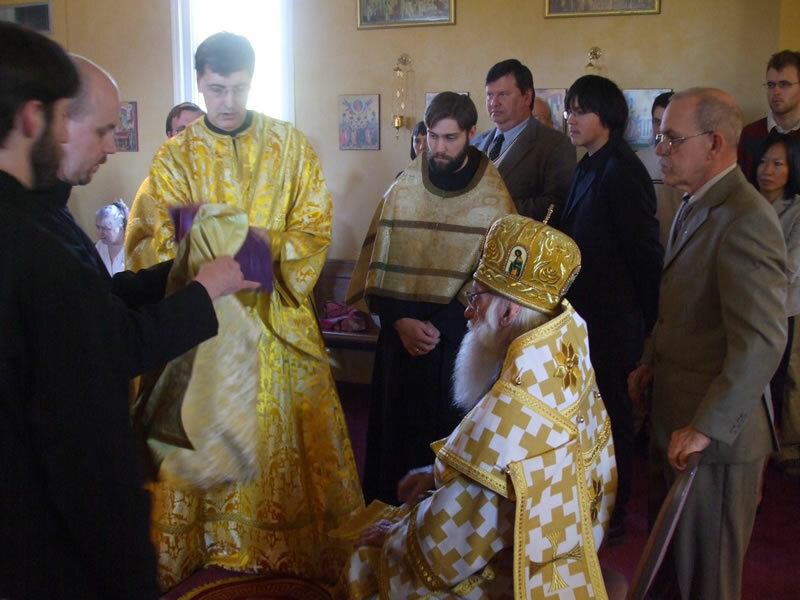 to You Master) to His Eminence. 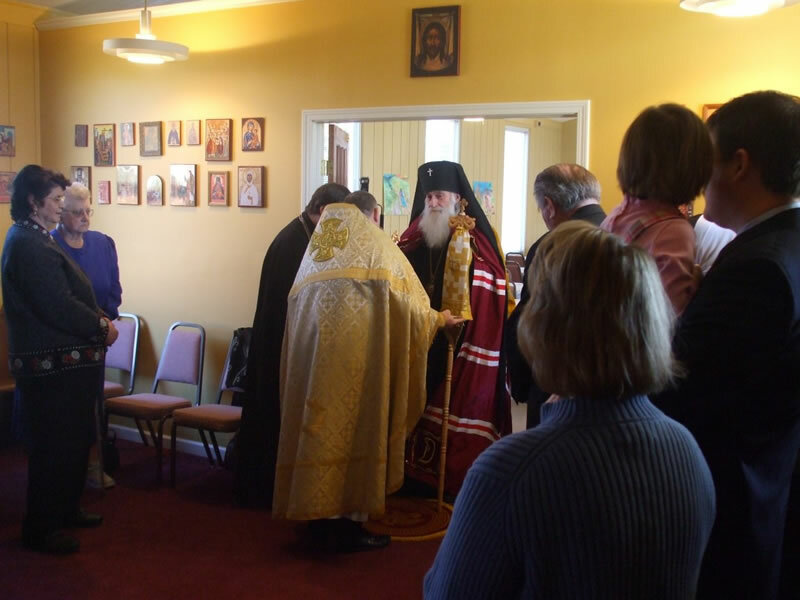 Then followed a festive meal and joyous fellowship as the faithful flocked around their beloved Archpastor. 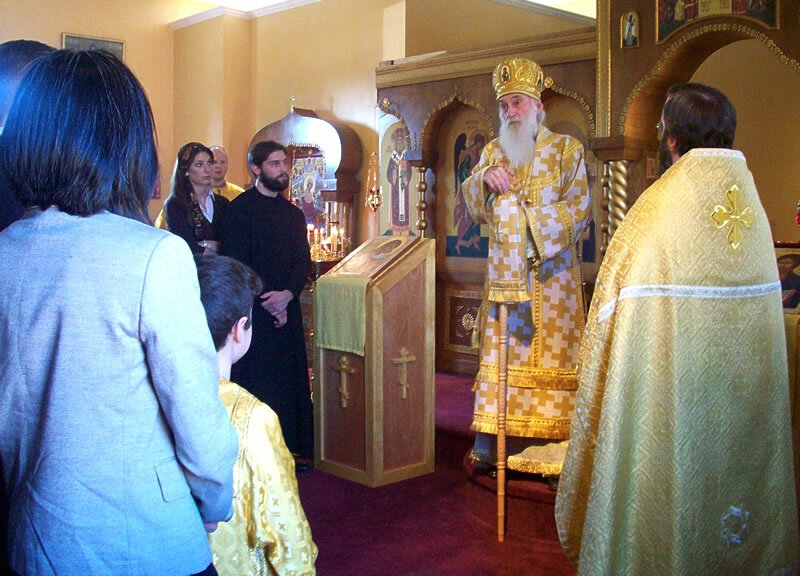 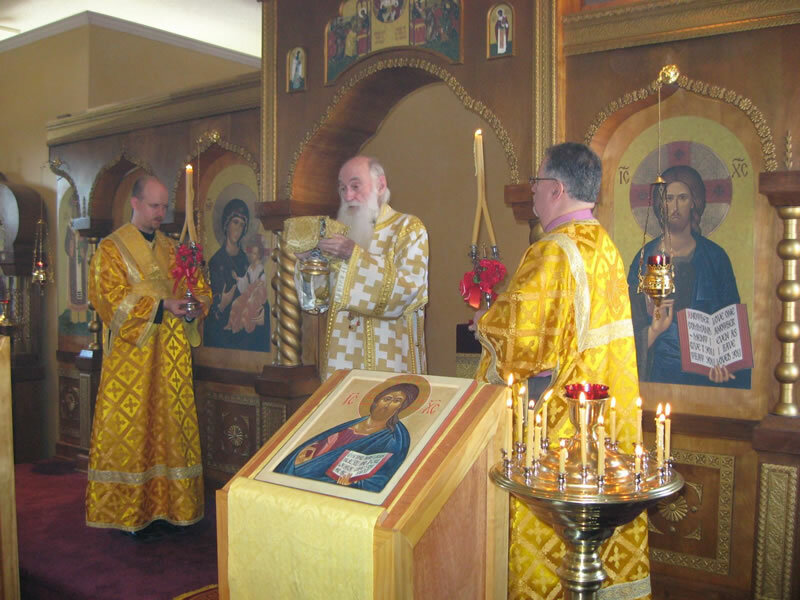 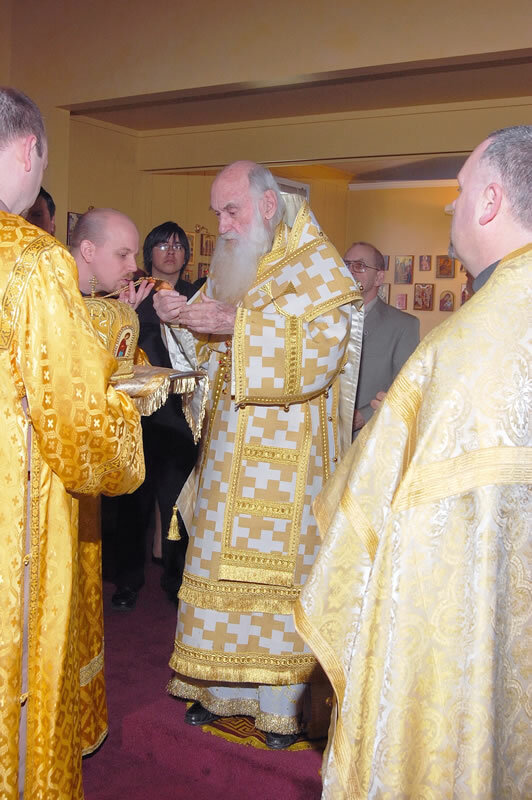 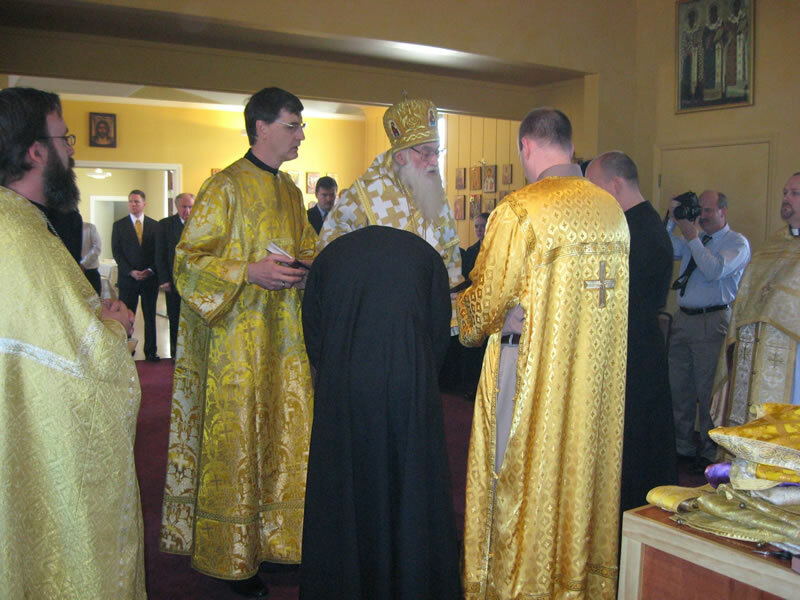 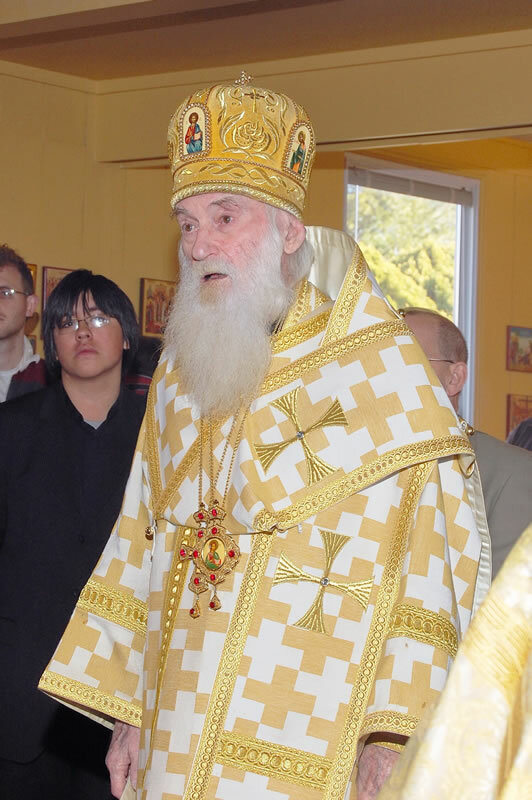 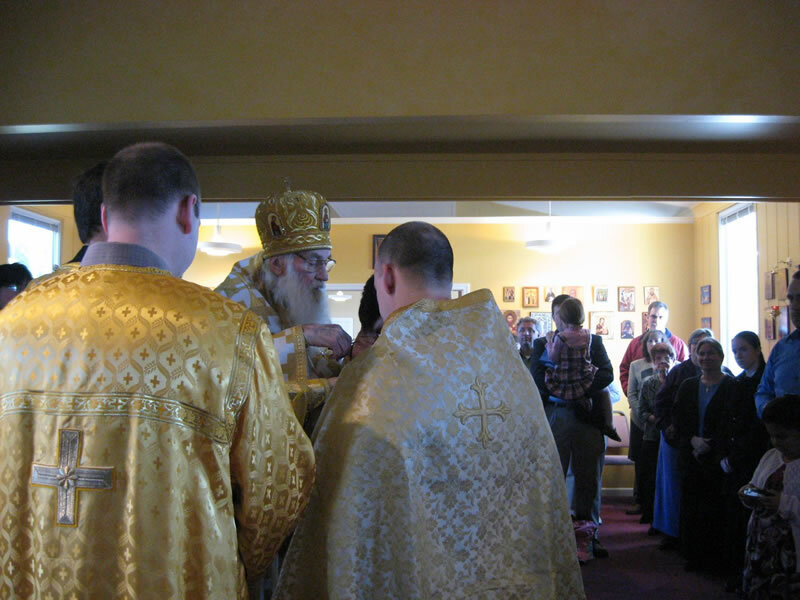 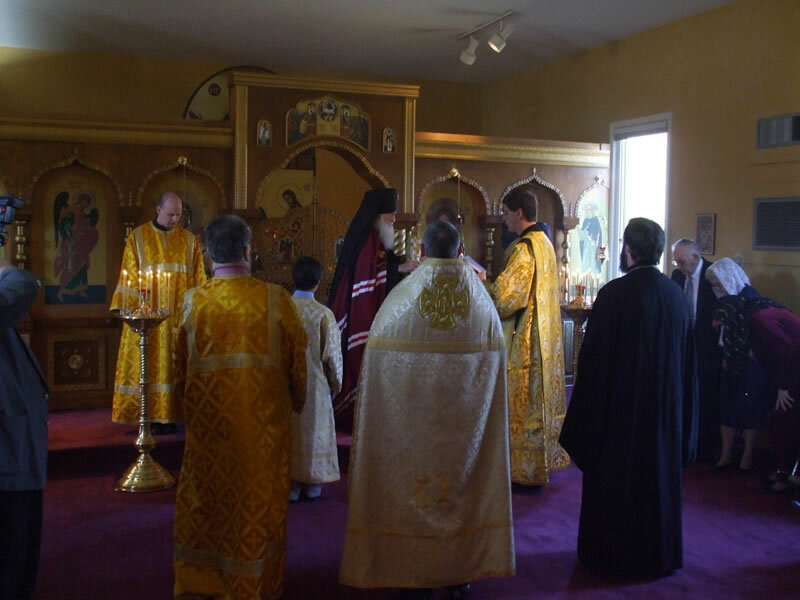 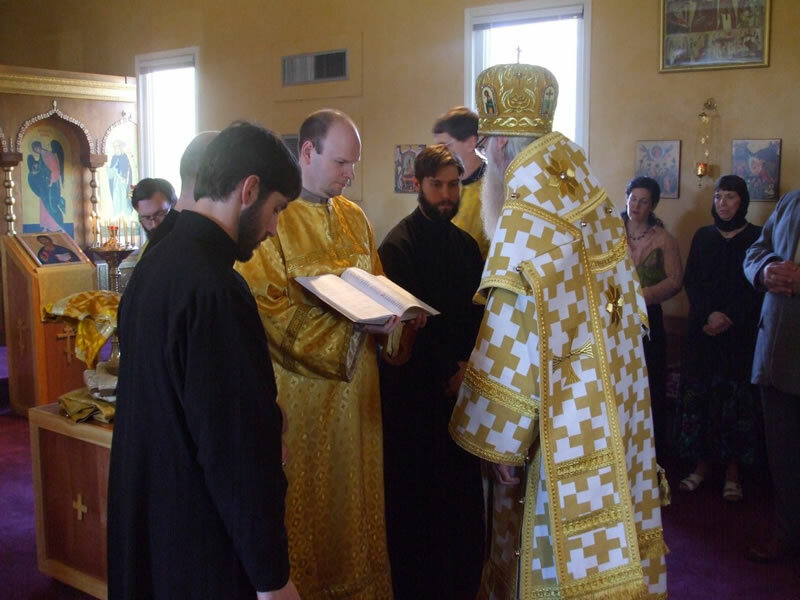 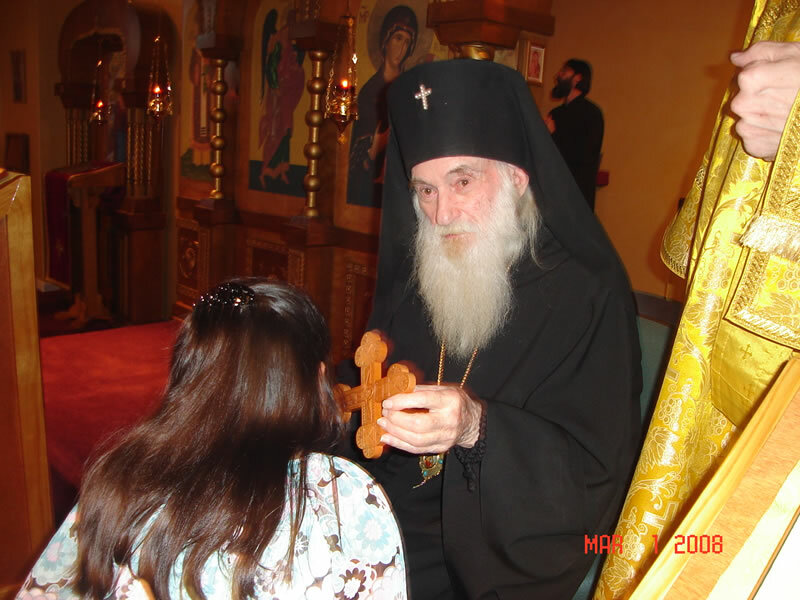 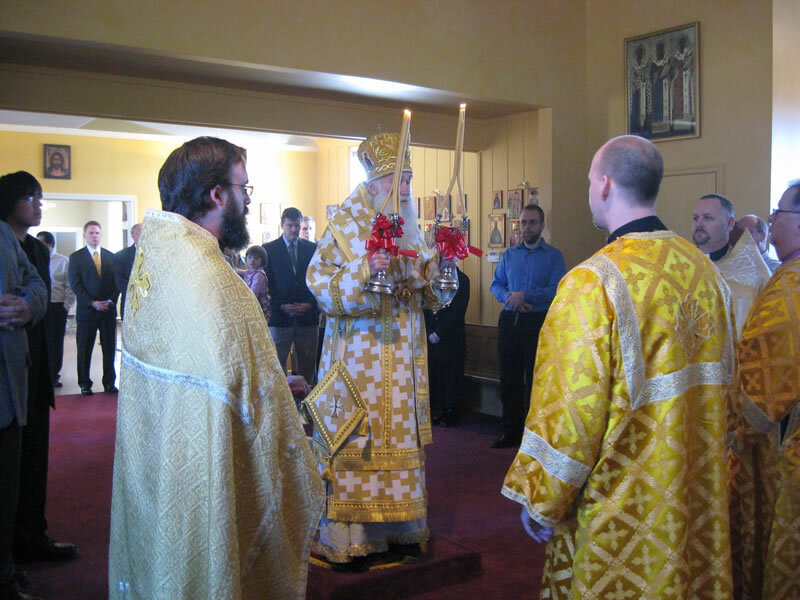 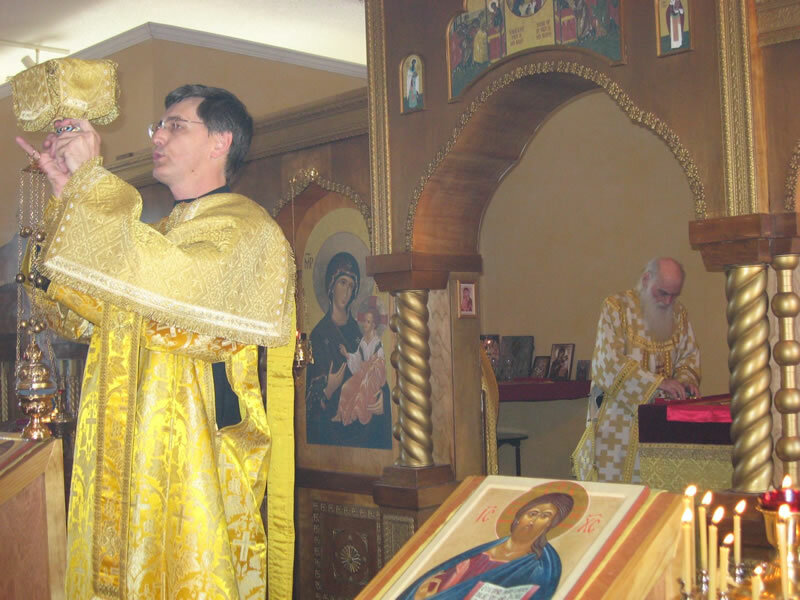 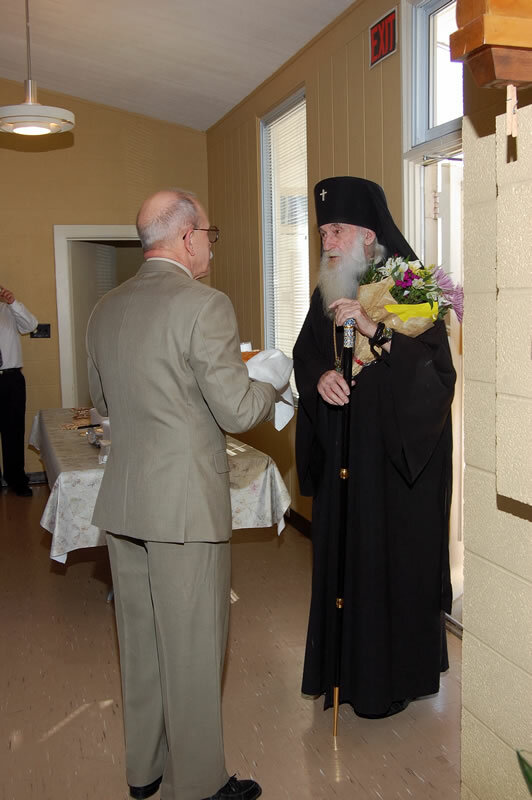 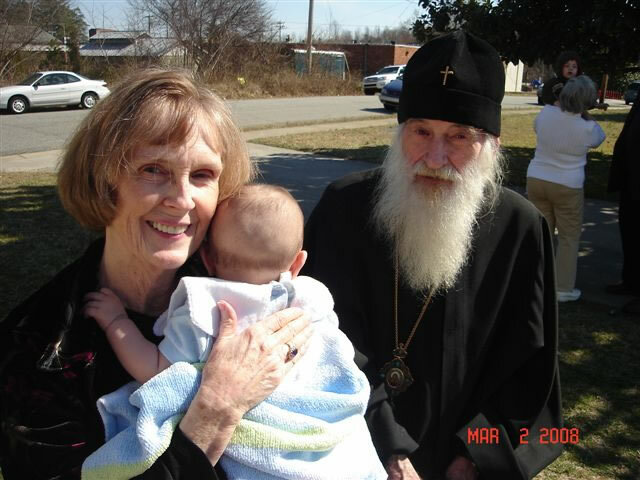 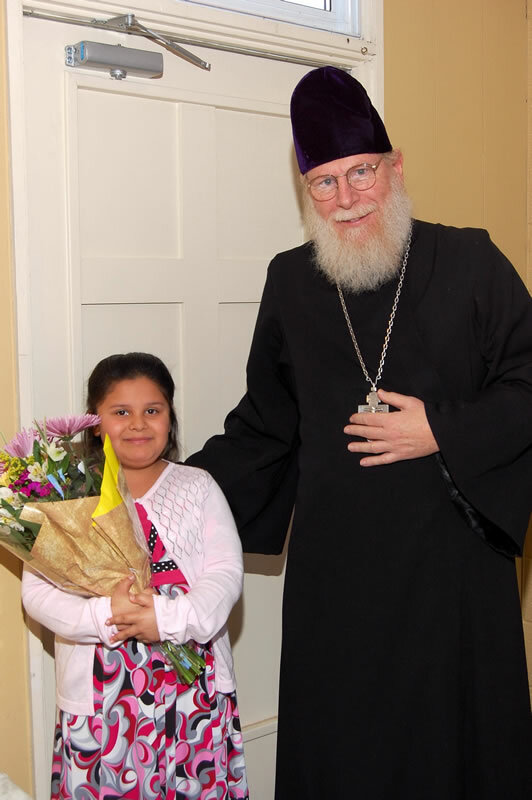 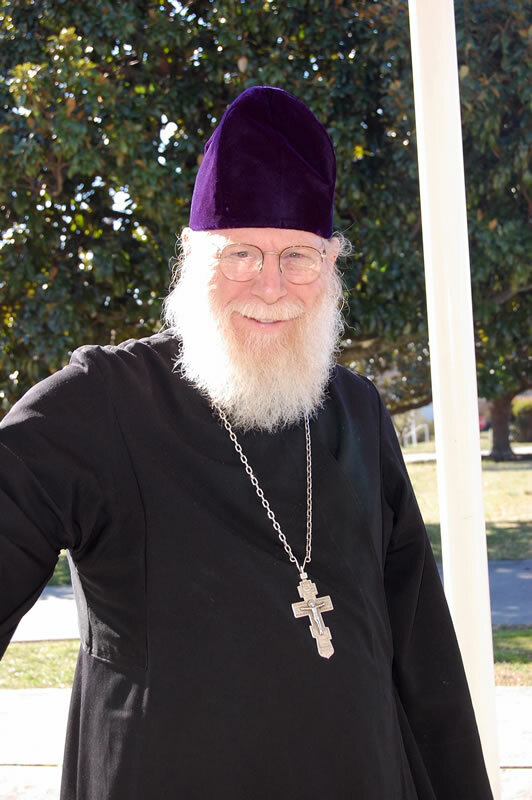 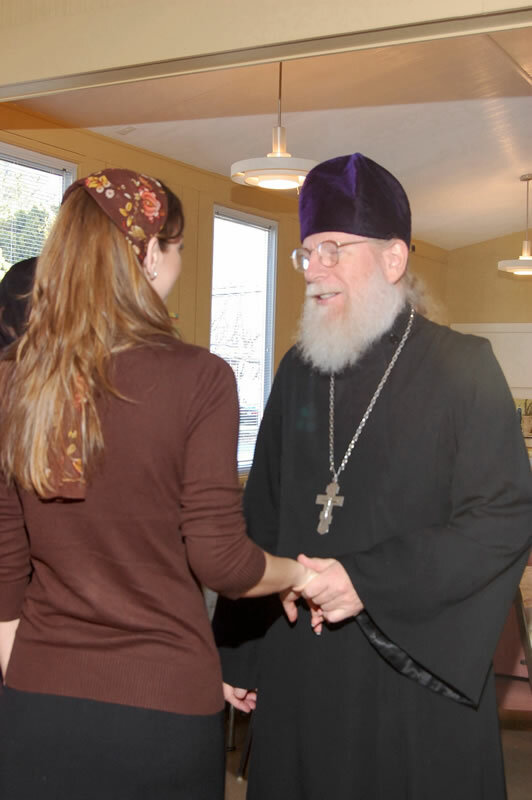 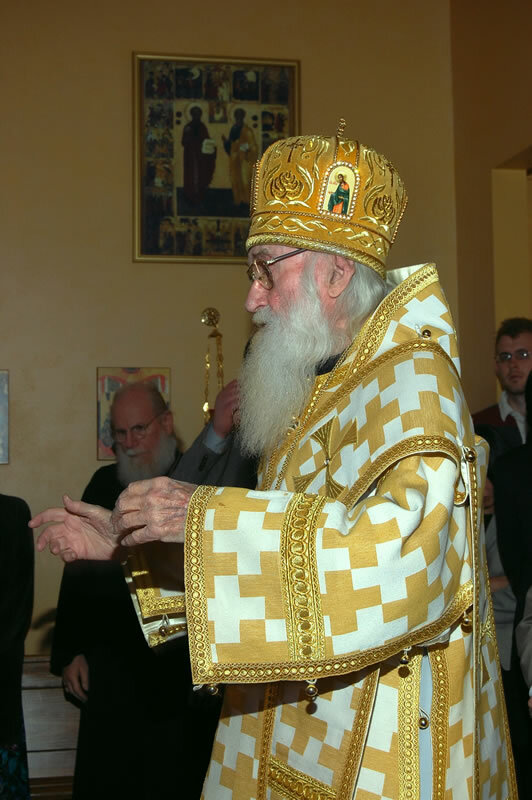 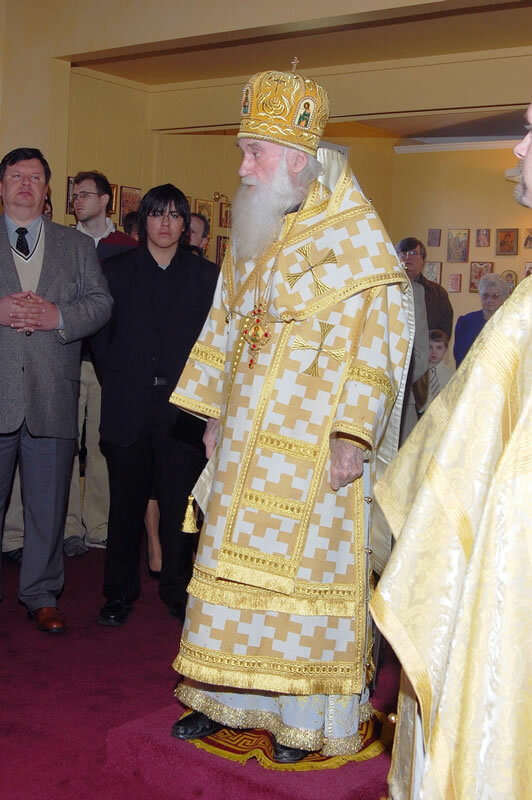 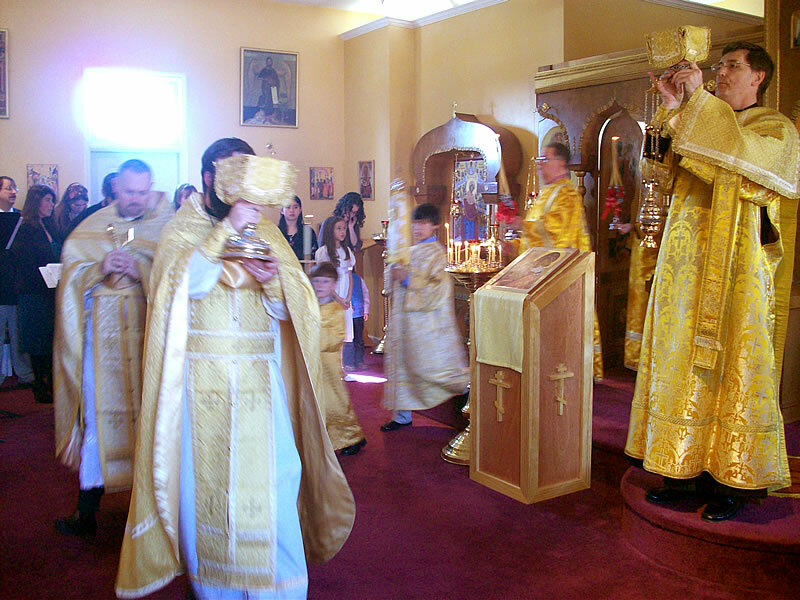 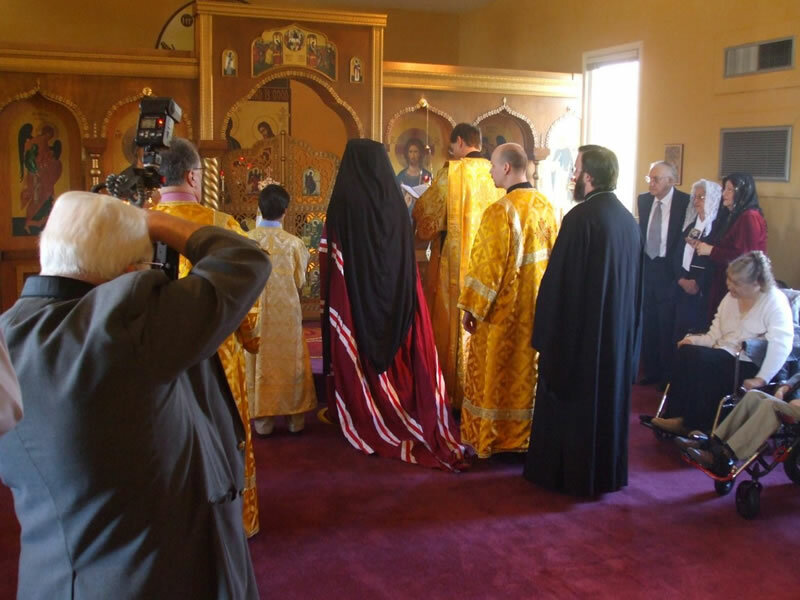 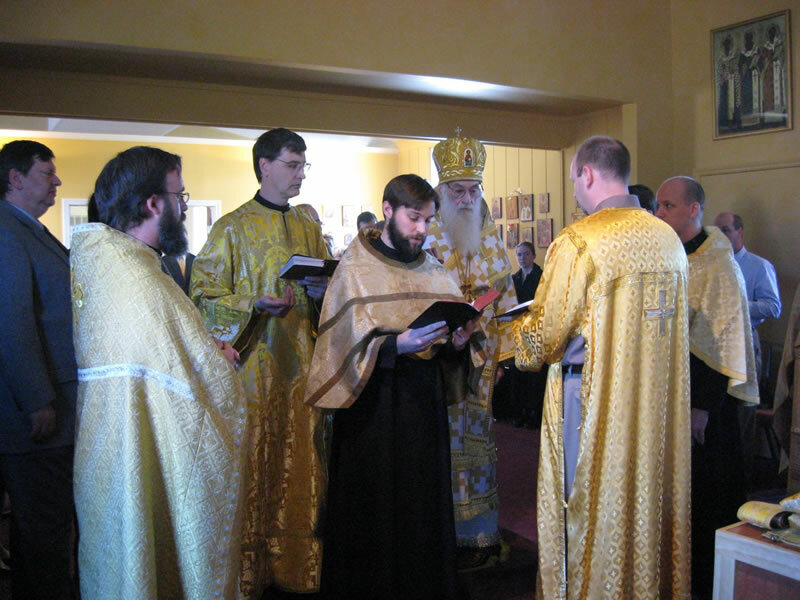 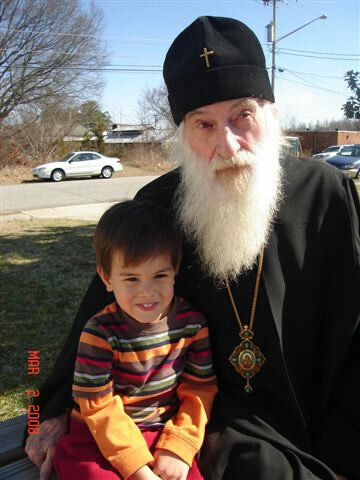 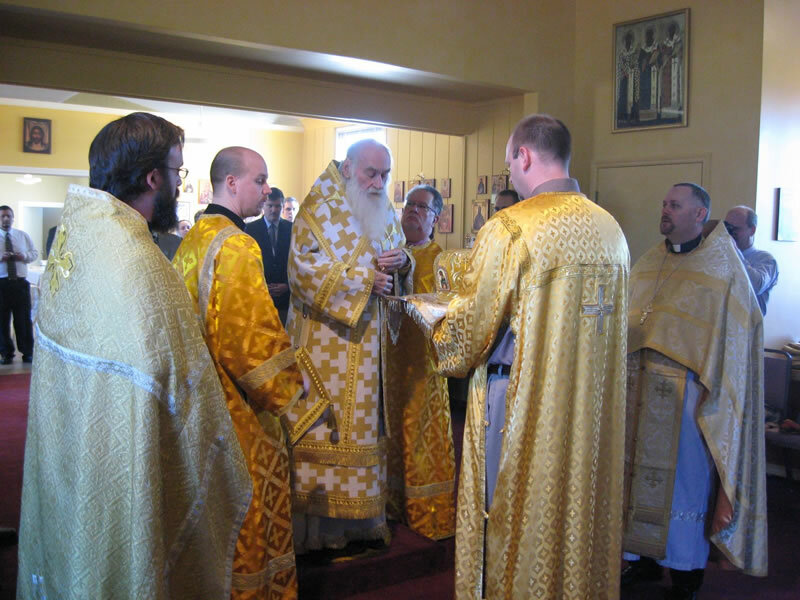 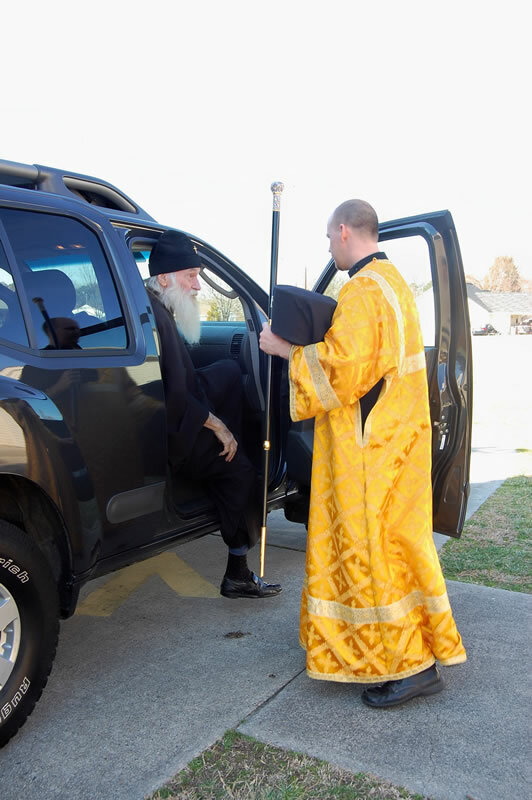 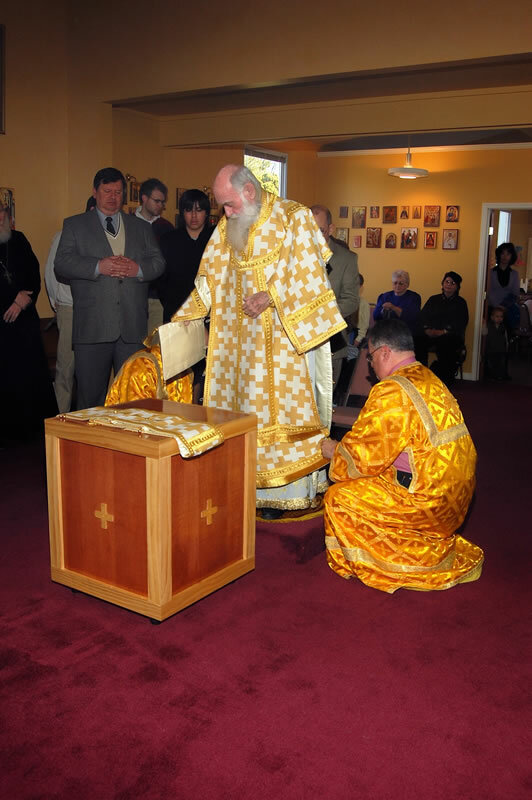 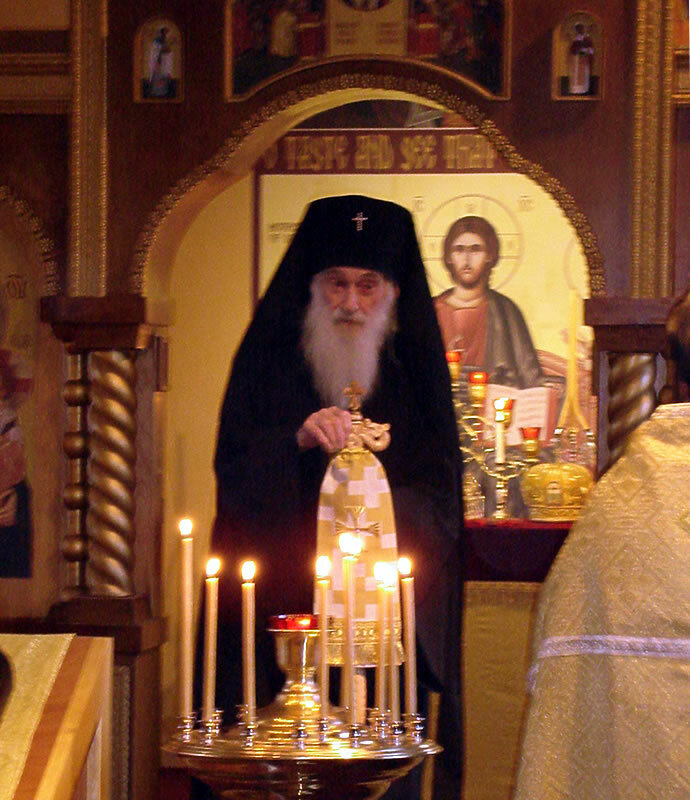 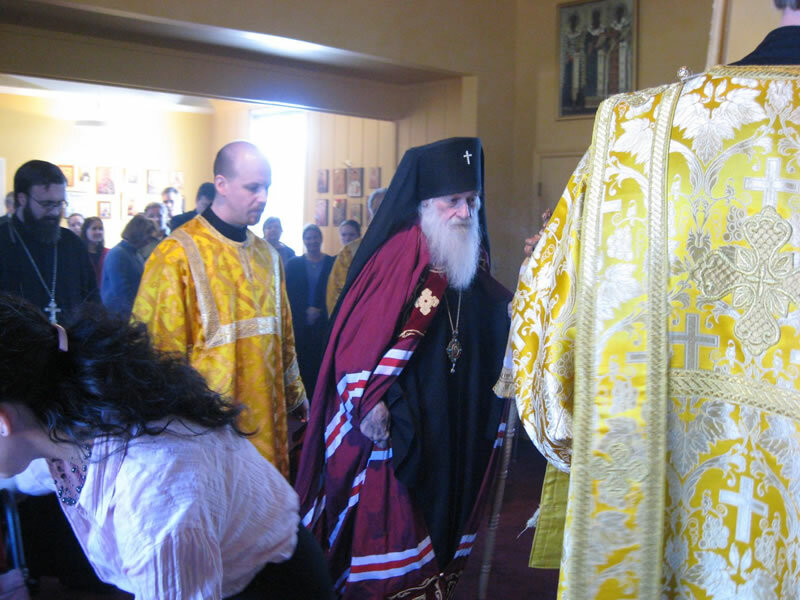 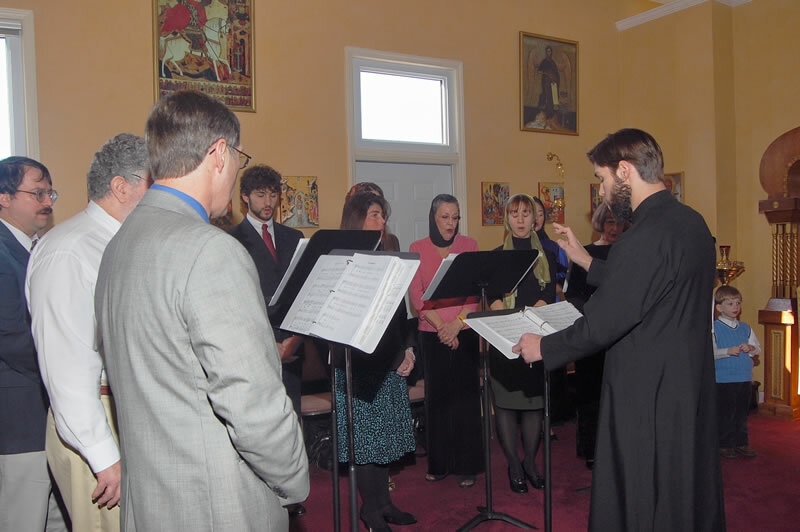 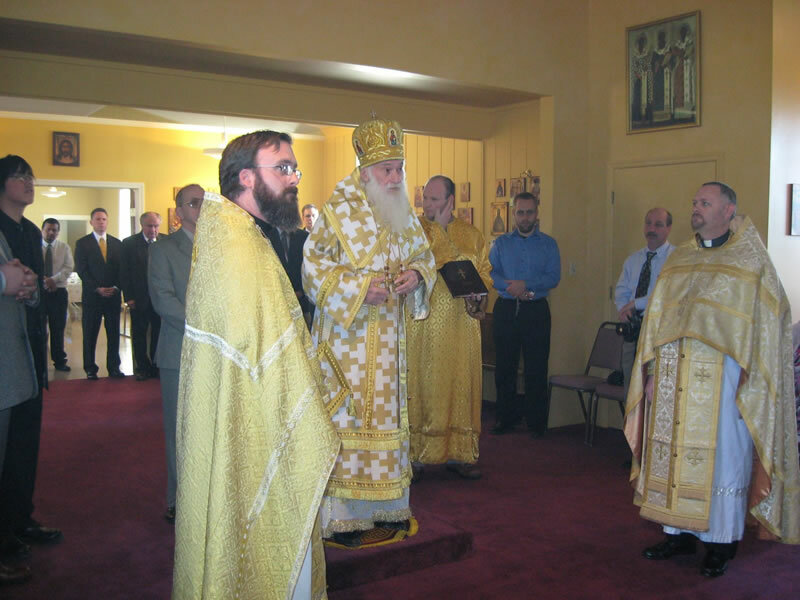 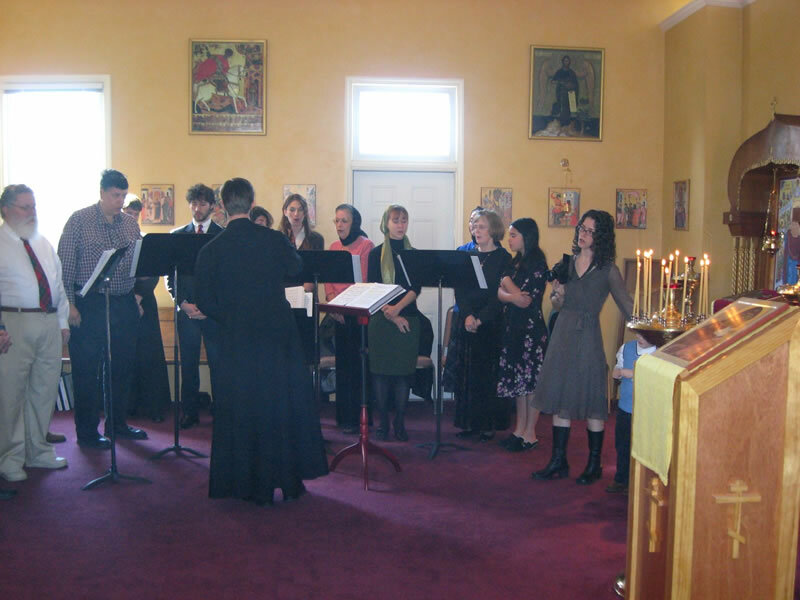 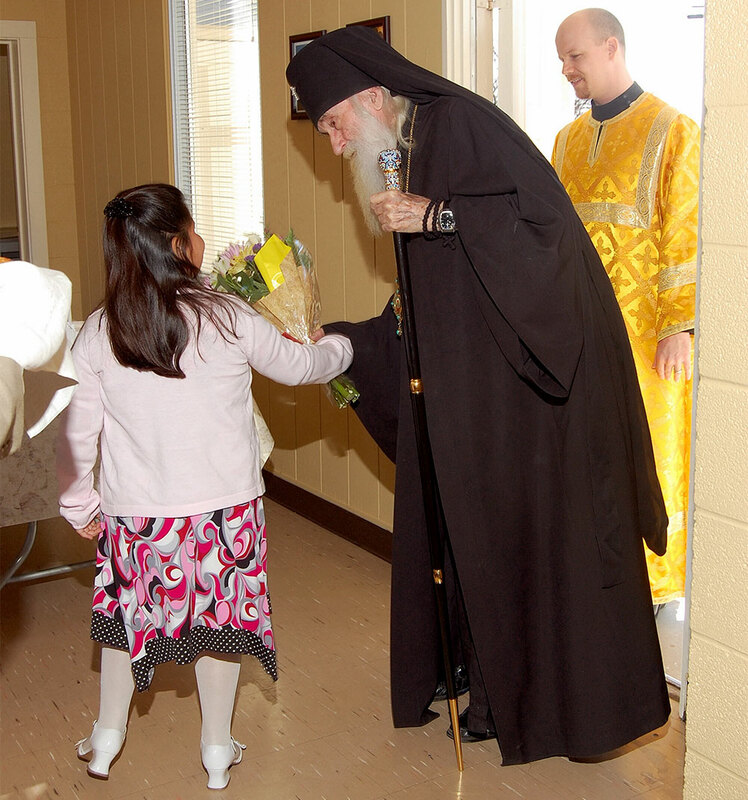 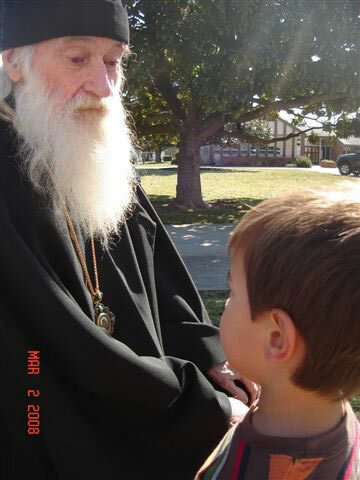 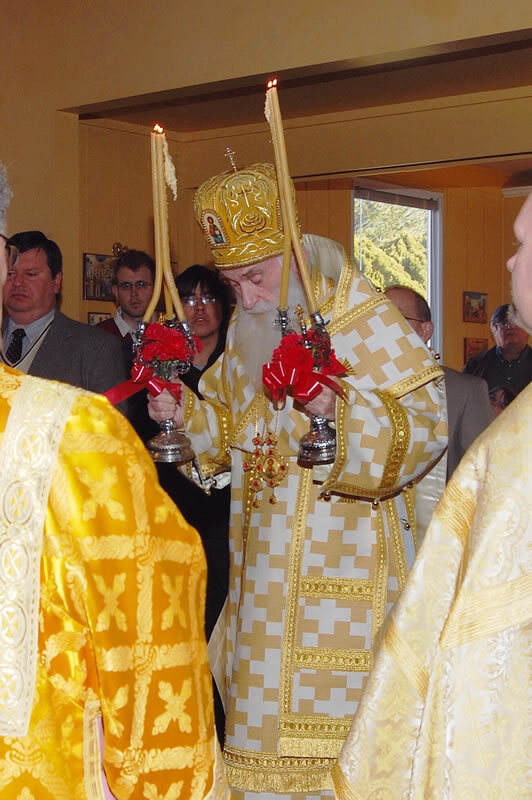 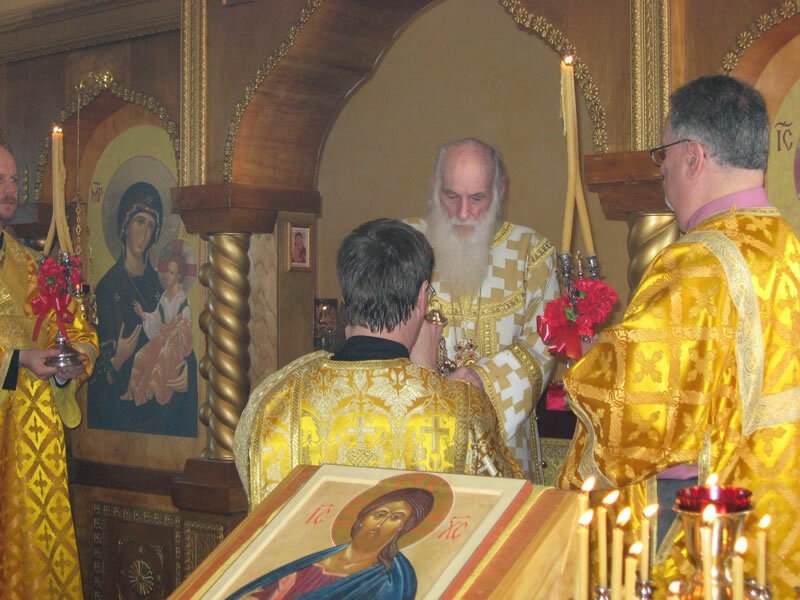 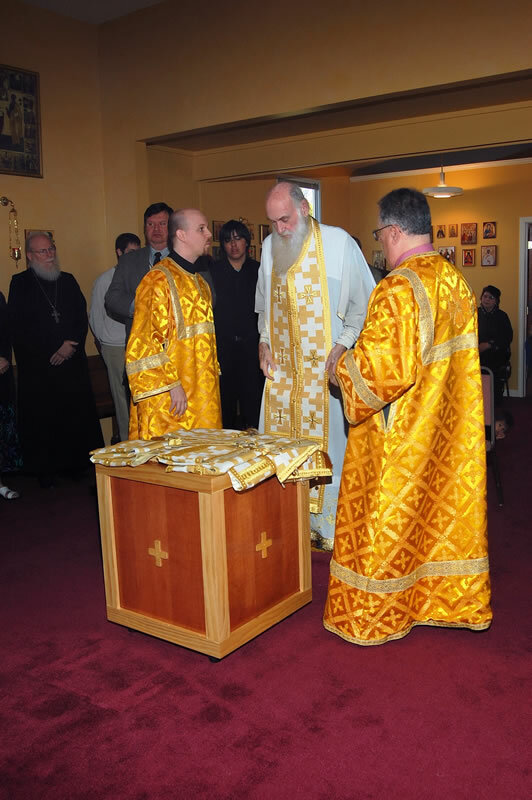 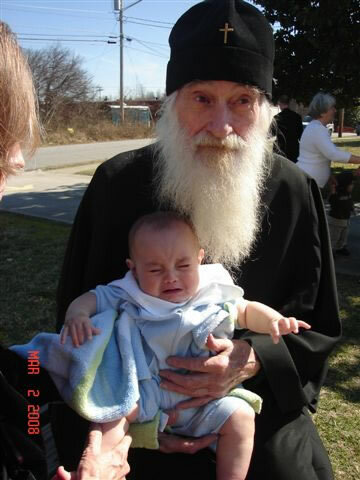 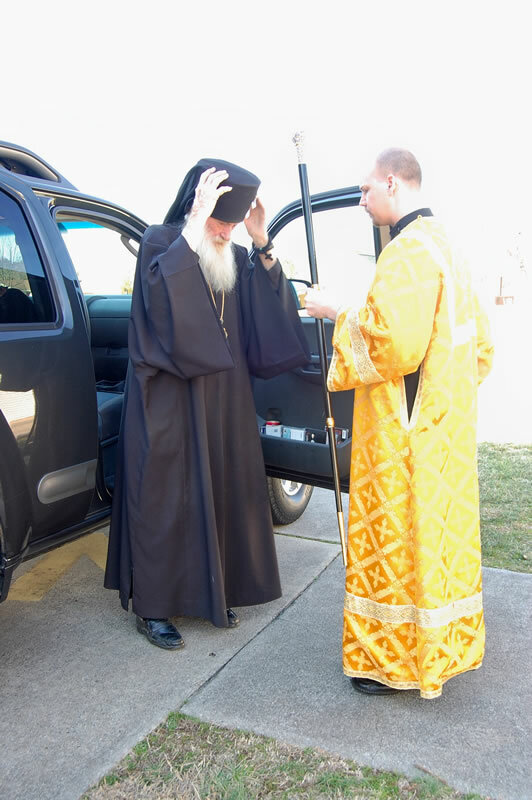 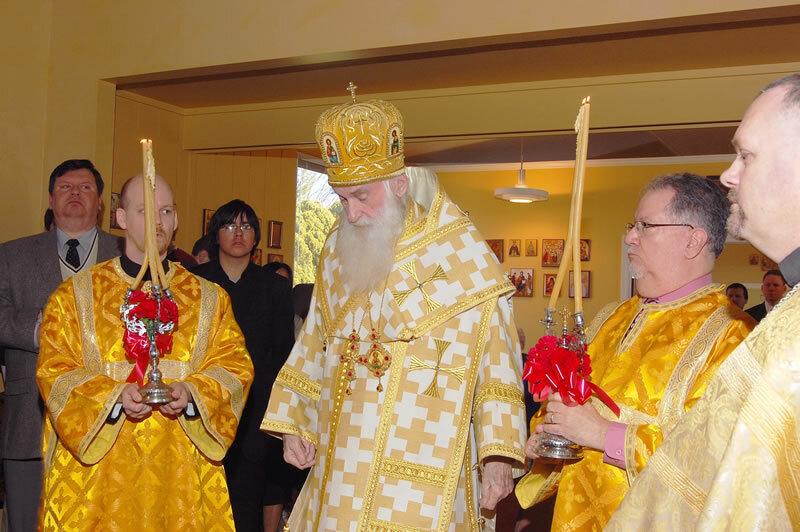 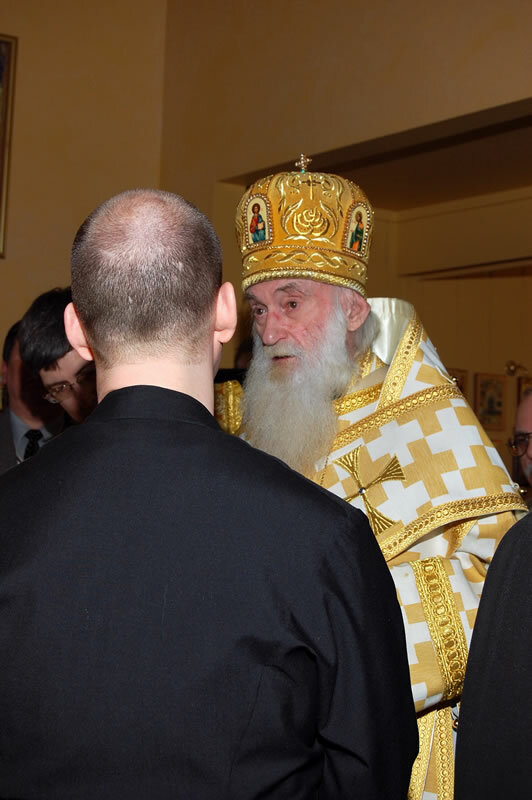 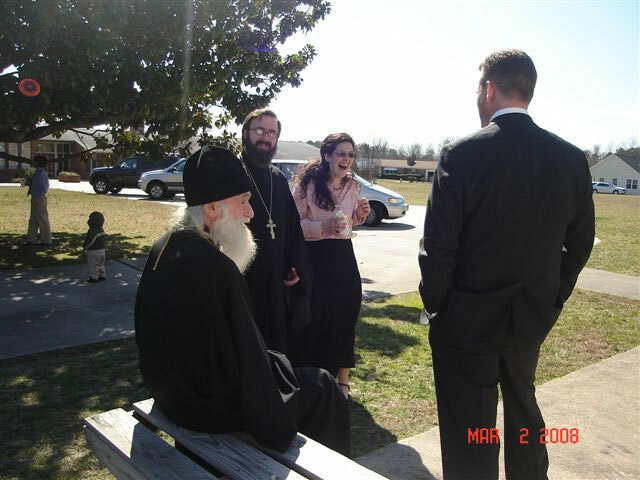 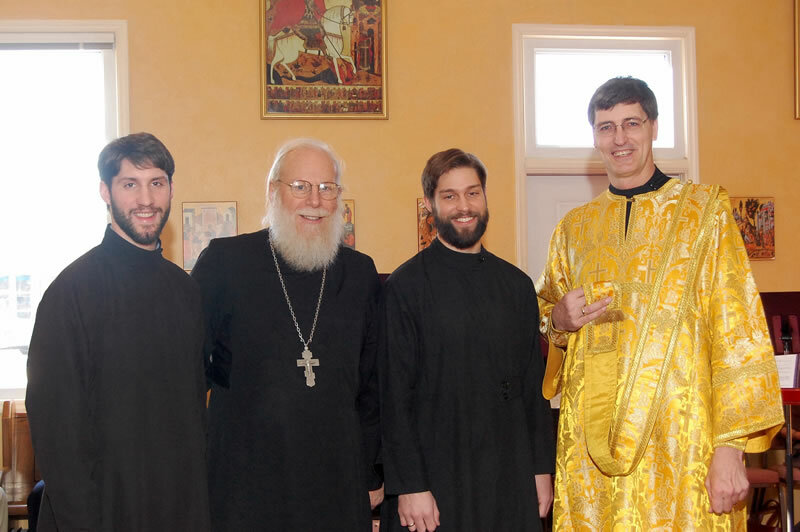 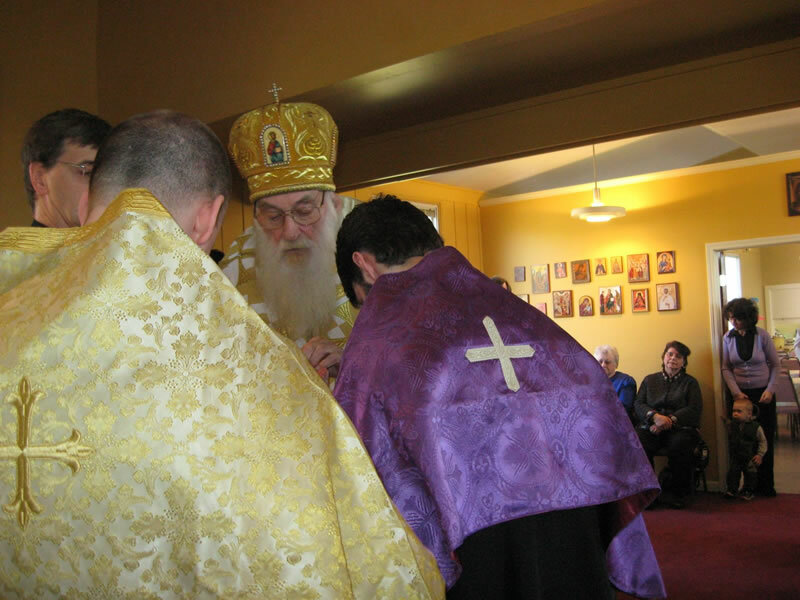 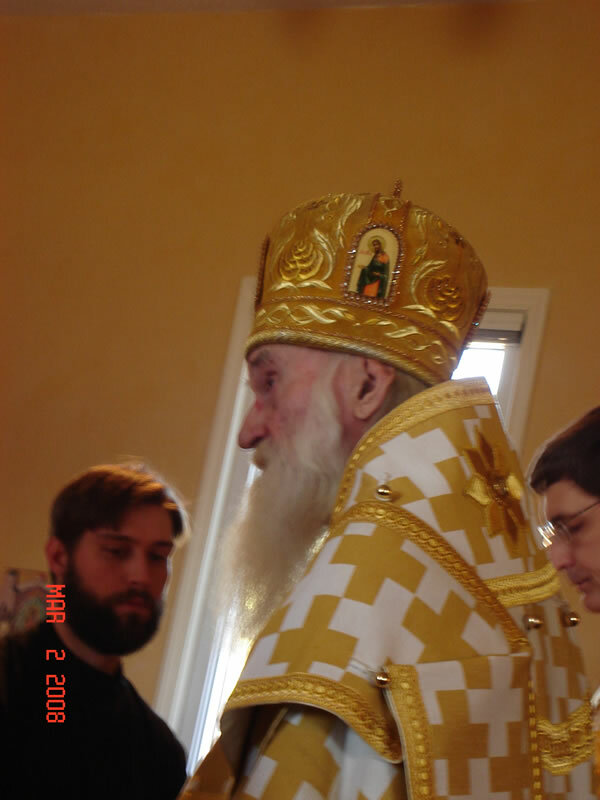 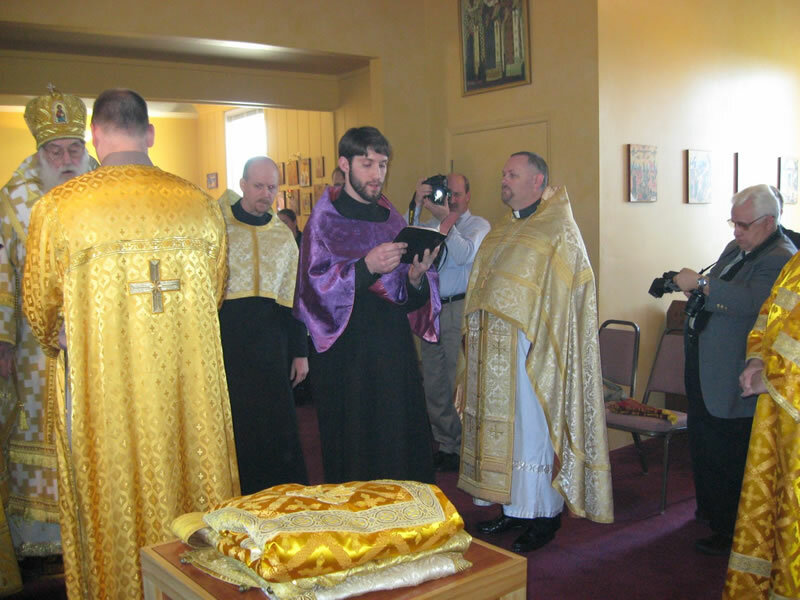 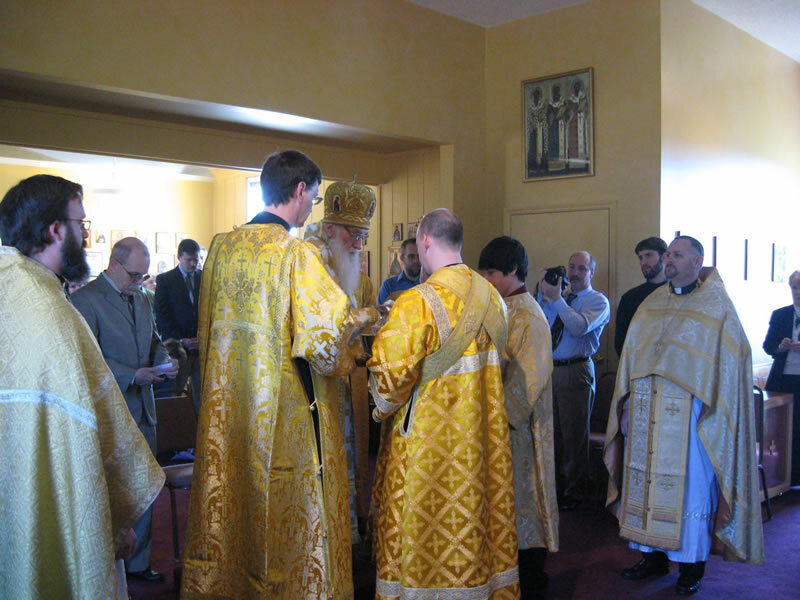 The Carolinas Deanery clergy met with His Eminence, Abp DMITRI, on March 1st, 2008 at Holy Cross Orthodox Mission in Greensboro/High Point, NC. 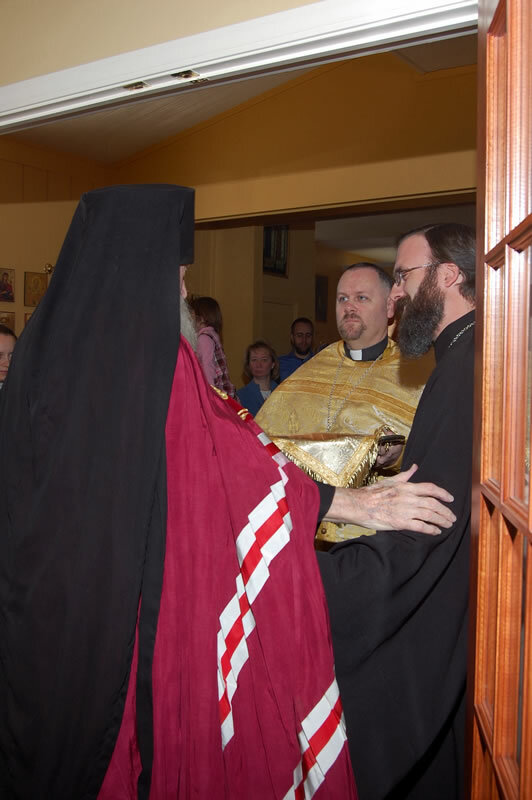 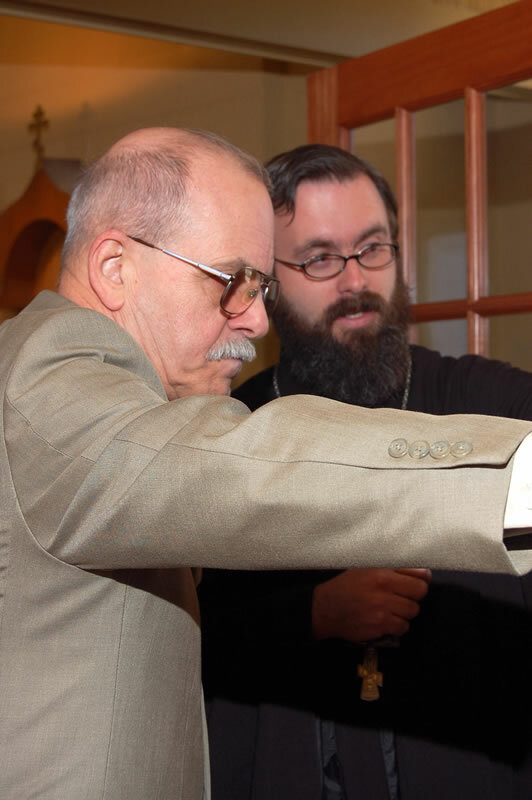 This marked the beginning of His Eminence's first official hierarchical visit to the mission, as well as the first time the Holy Cross Mission has hosted a deanery meeting. 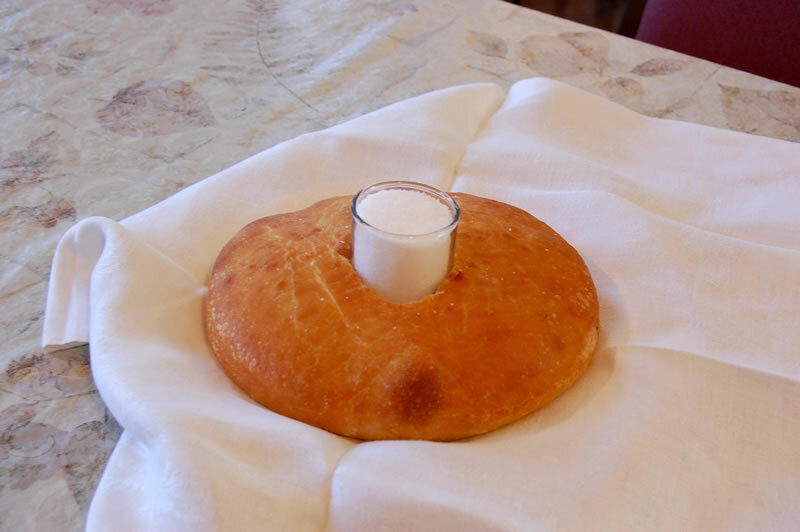 The meeting began at 9:00 am with a molieben followed by a working breakfast. 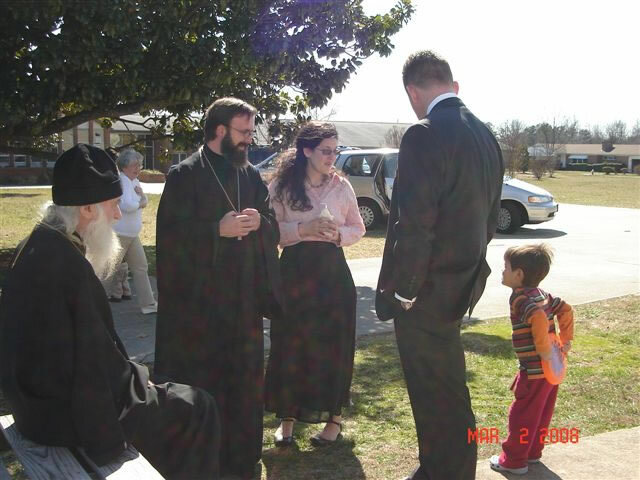 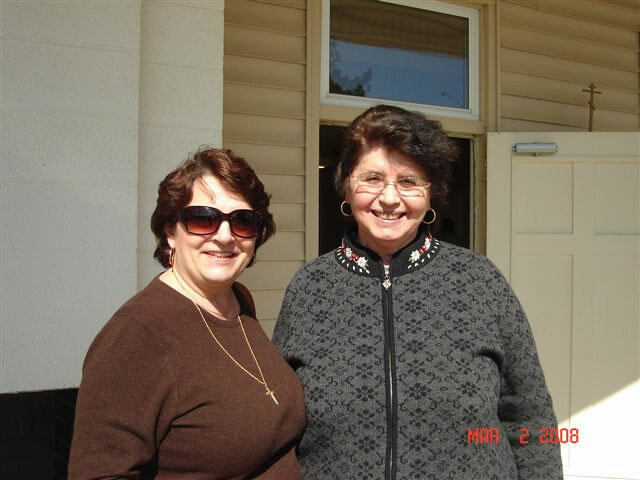 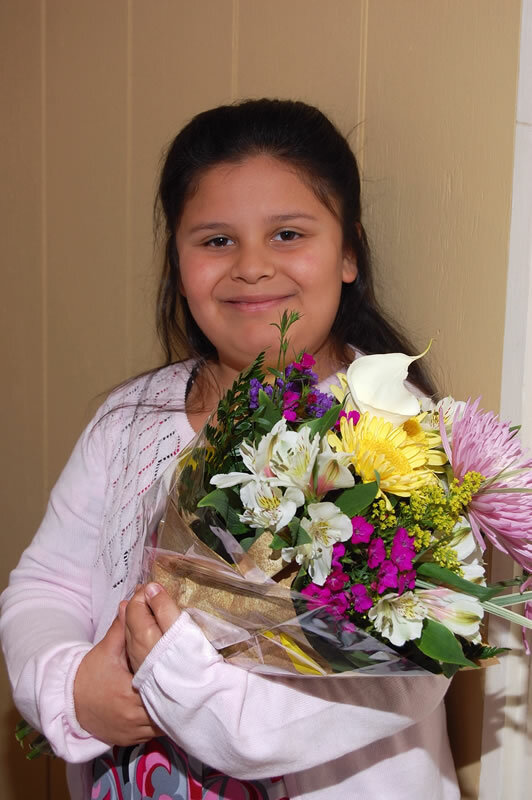 Hospitality was graciously provided by members of the Holy Cross Mission. 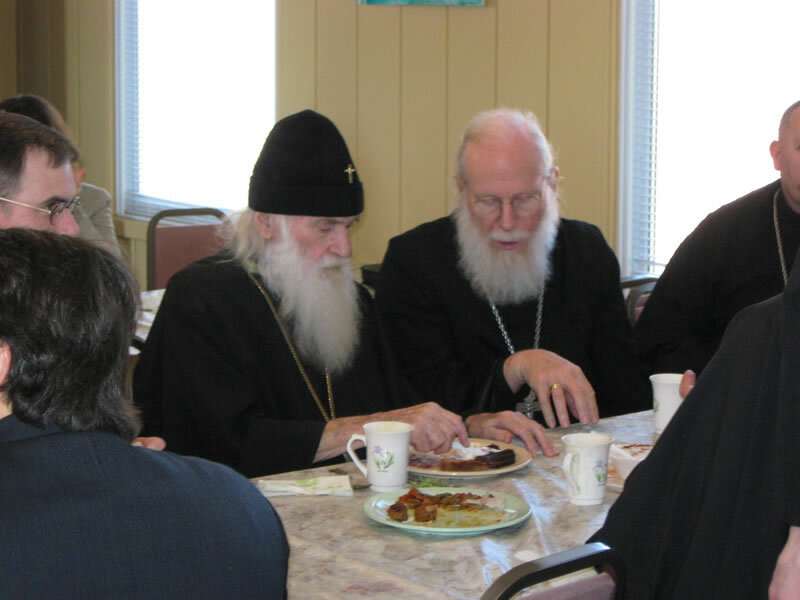 The meeting concluded about 1:00 pm. 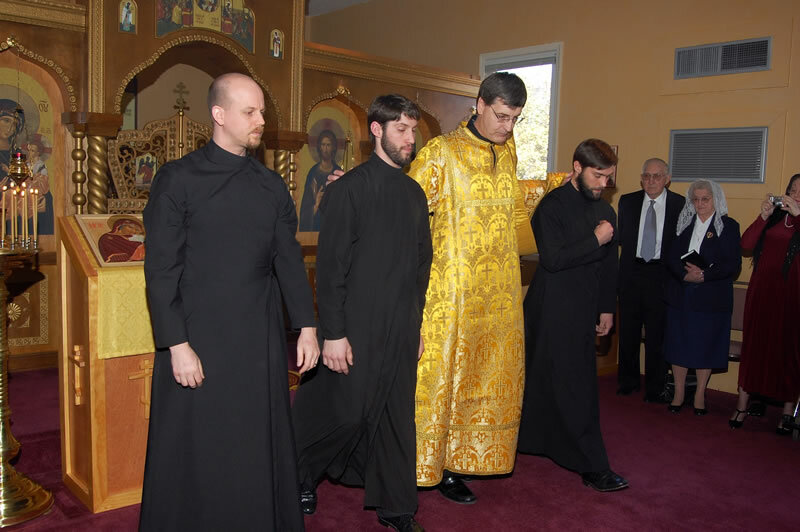 All assigned priests in the Carolinas Deanery were present.